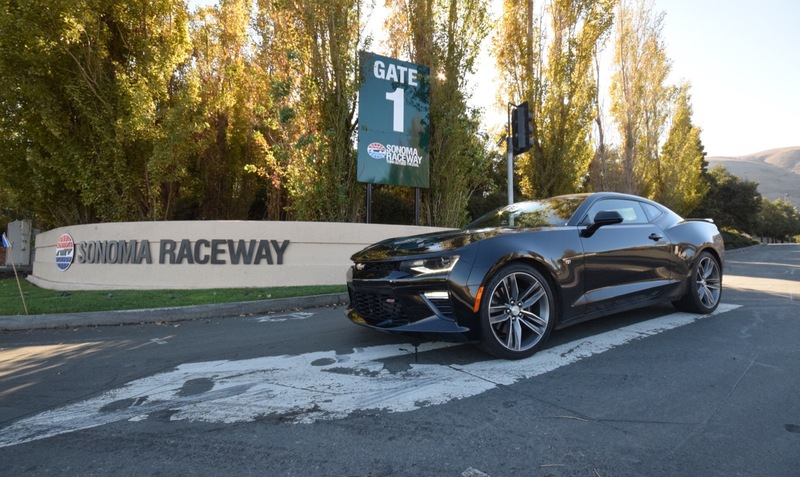 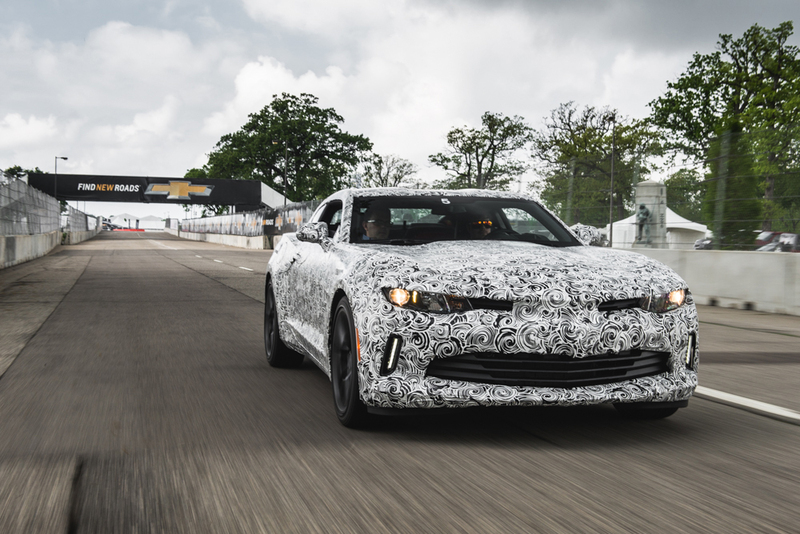 As we’ve seen with the fifth-generation Camaro and variants like the athletic SS 1LE, ZL1 and Z/28, the crude go-fast-forward muscle car tradition we’ve come to know has taken a back seat in the Camaro’s punishingly small second row in order for road course progress to take the wheel. 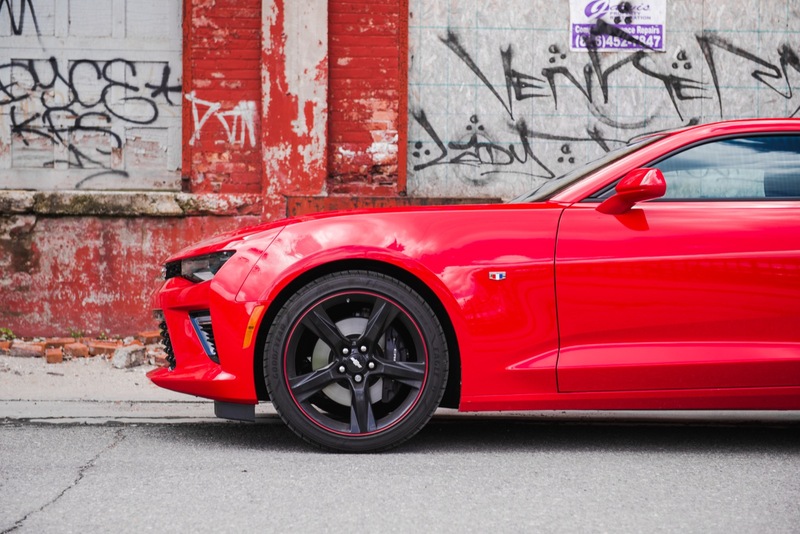 It hands-down represents the most dynamic Camaro generation to date. 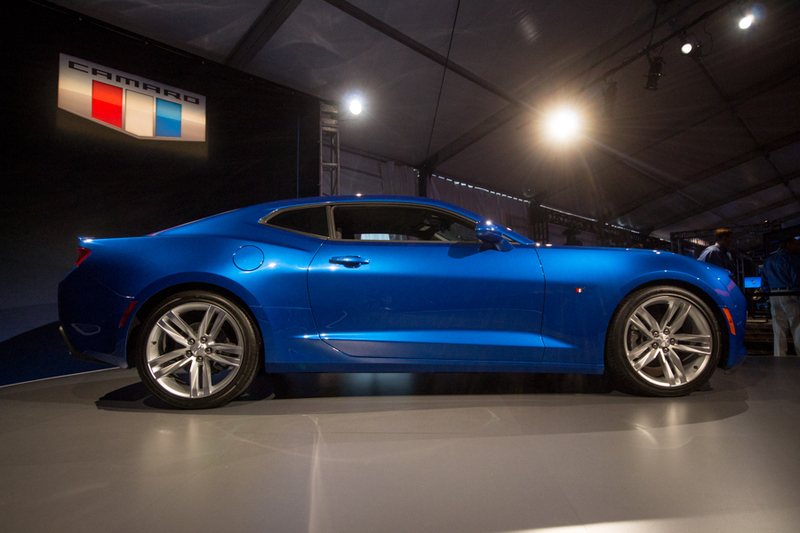 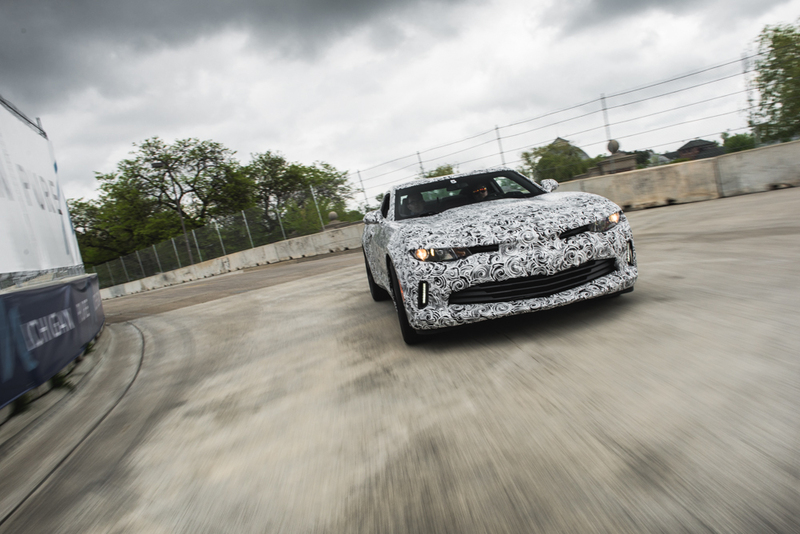 Until the sixth-generation, 2016 Chevrolet Camaro launches later this year, at least. 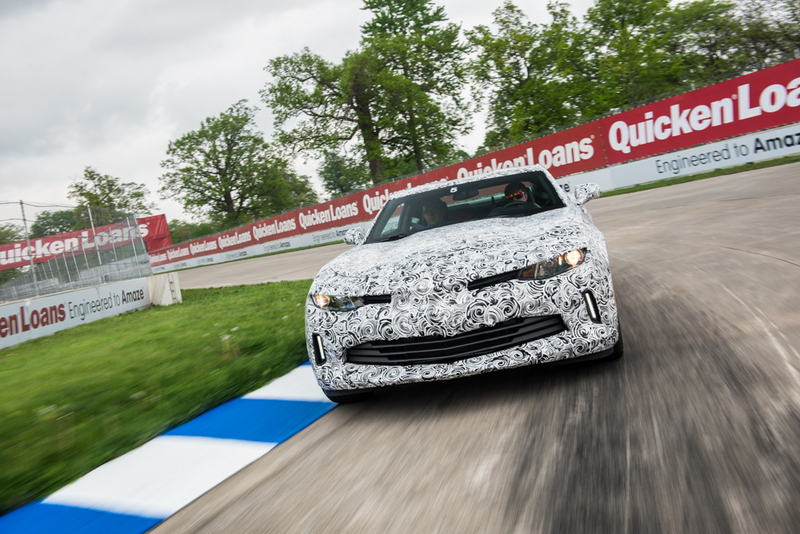 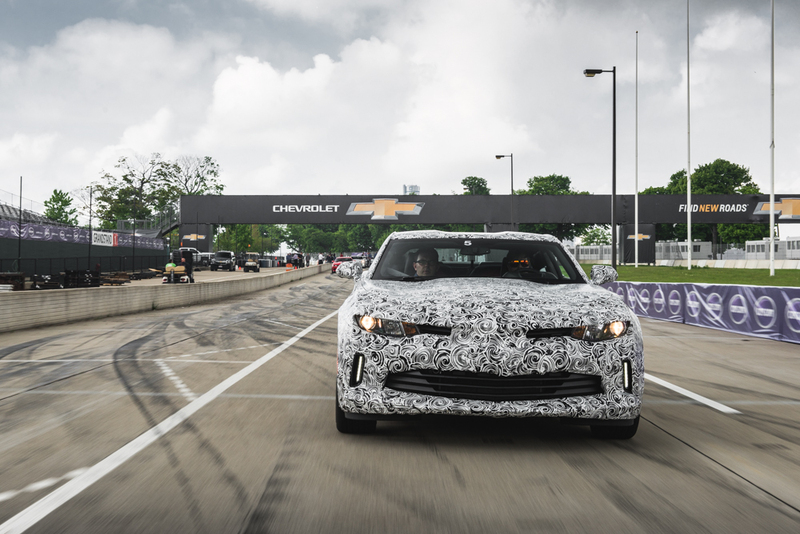 It wasn’t hard to figure this out upon driving a 2016 Camaro prototype around the Detroit Belle Isle Grand Prix road course. 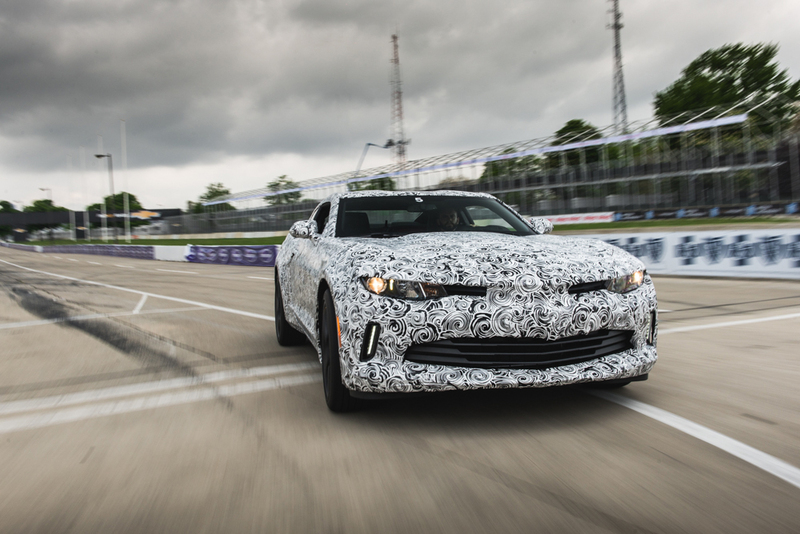 After just a sweeping left turn, a fourth-gear straight, and a sharp right hander, we knew we were in a better Camaro than before. 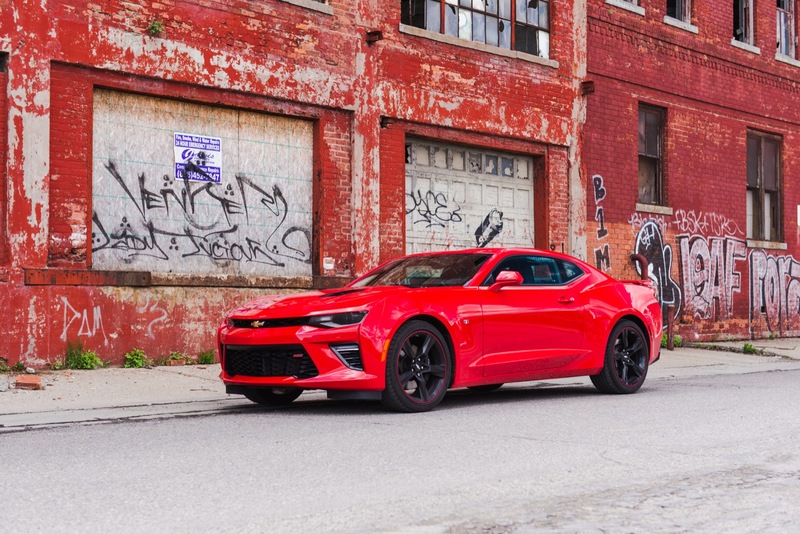 A lighter Camaro, a more athletic Camaro. 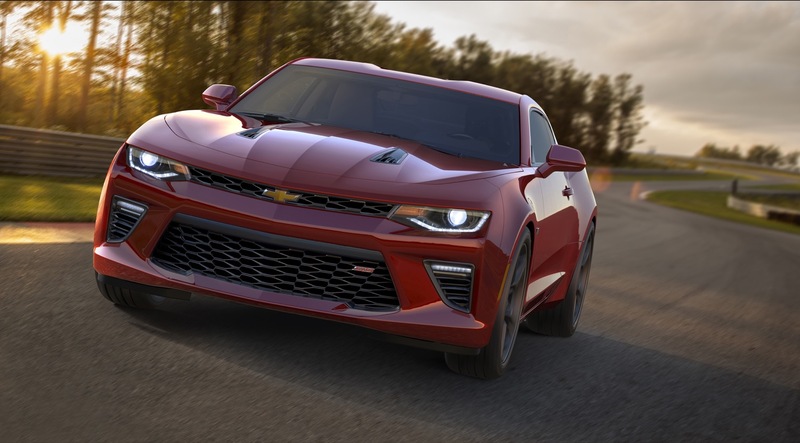 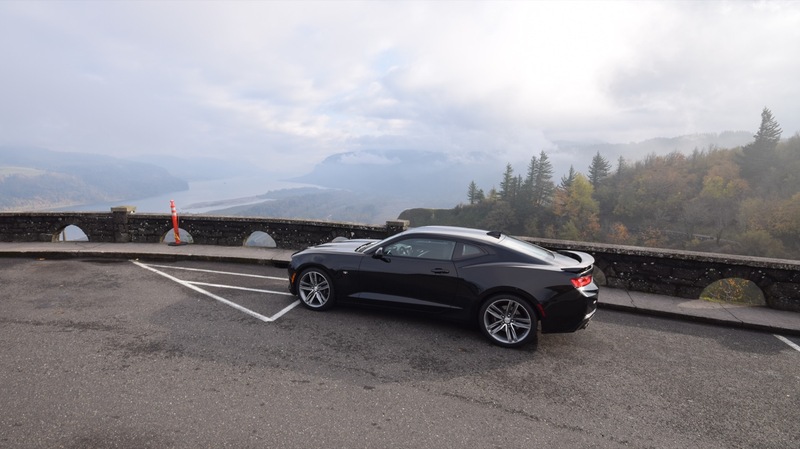 Depending on the variant and engine choice, the 2016 Chevrolet Camaro will actually be at least 200 lbs lighter than a comparable predecessor. 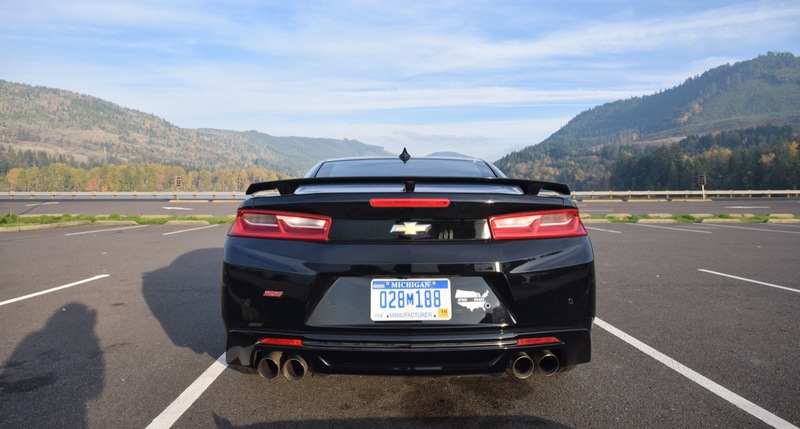 Though in the case of the 2016 Camaro V6, there’s nearly 300 lbs of weight reduction from the old one, and there’s no shortage of where and how the pounds were shed. 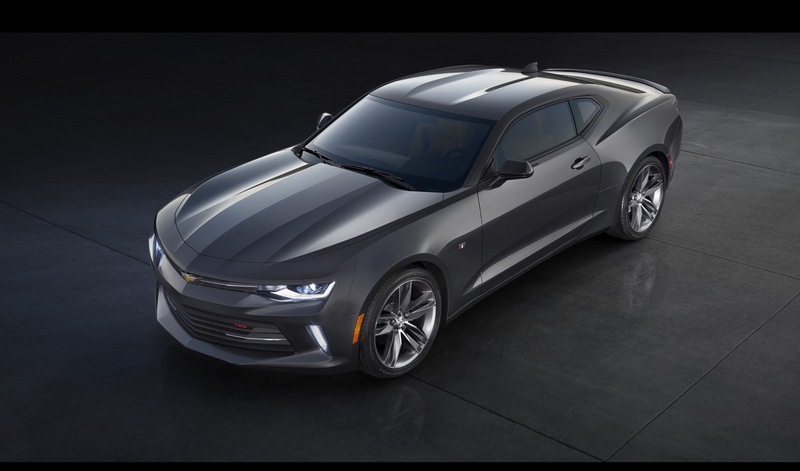 Keep in mind: this is an all-new car, sharing just the trim badges from the old Camaro. 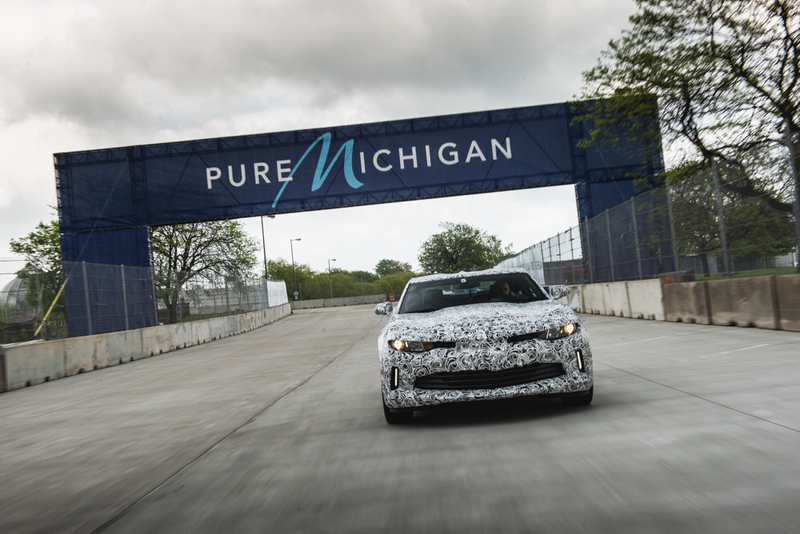 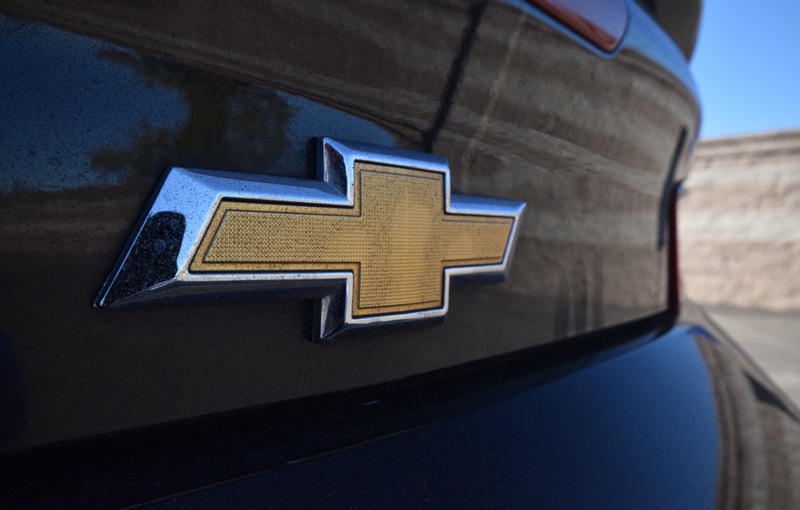 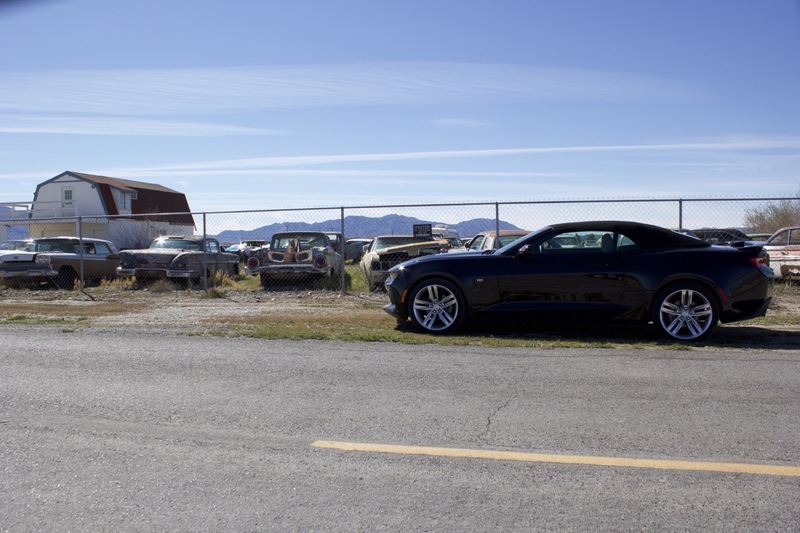 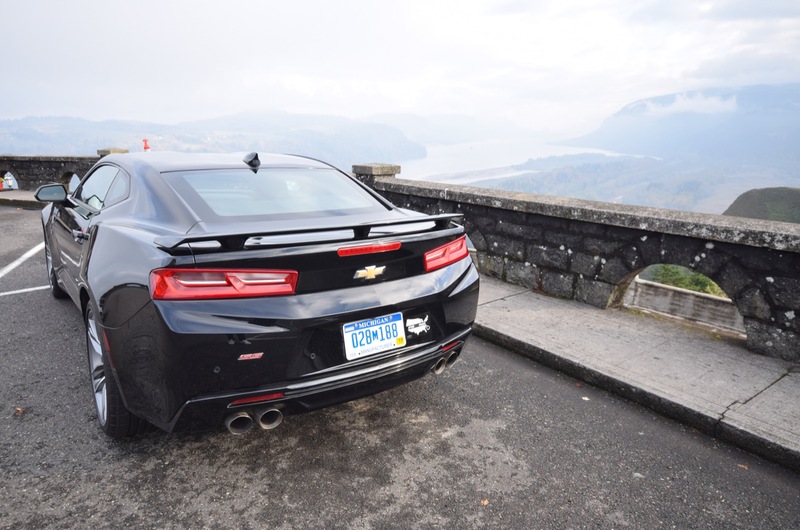 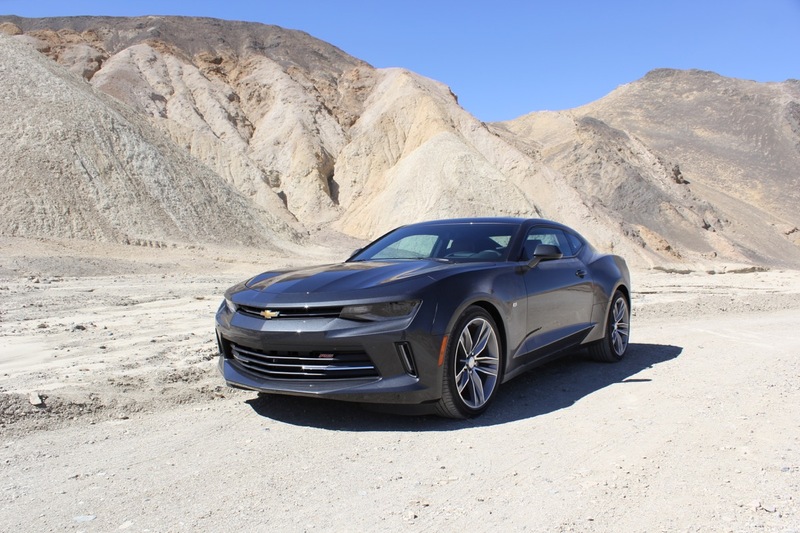 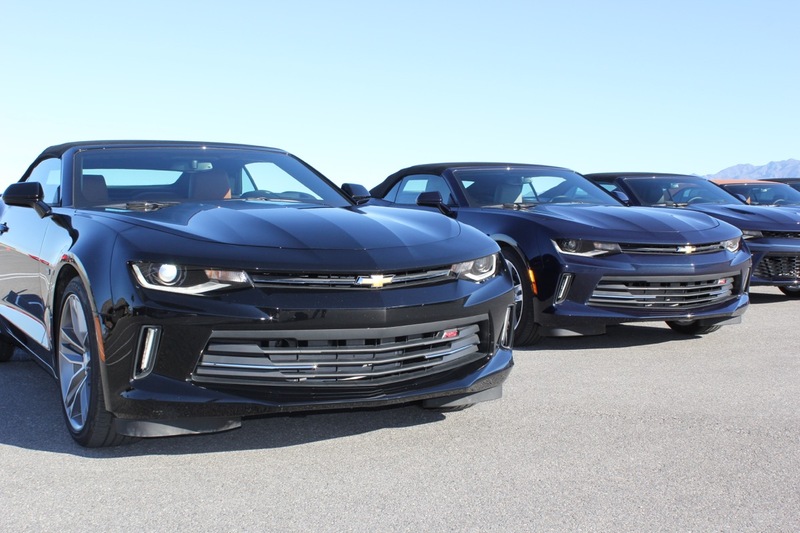 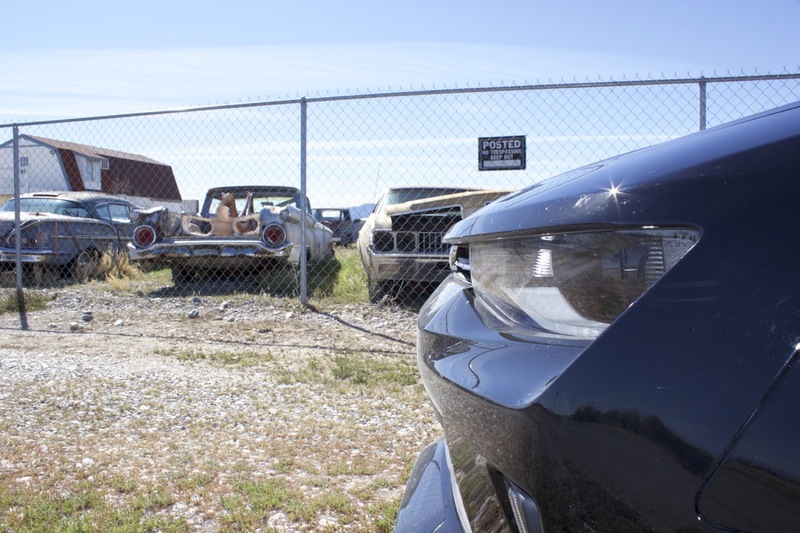 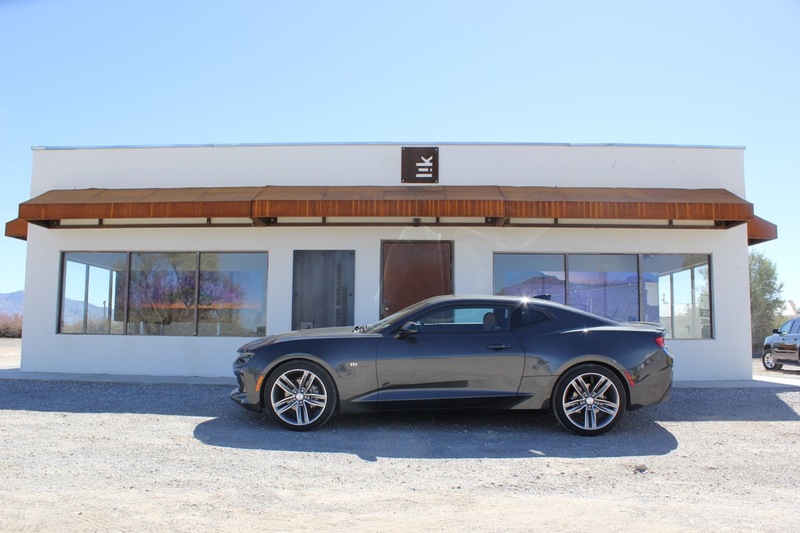 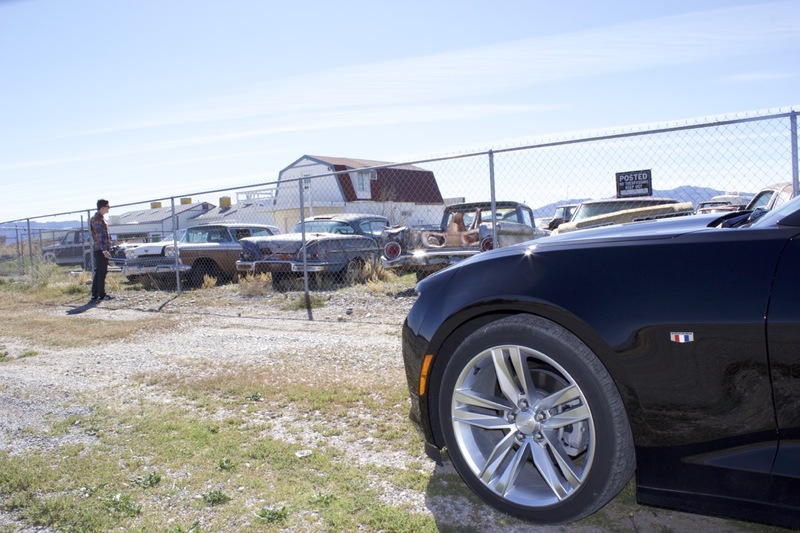 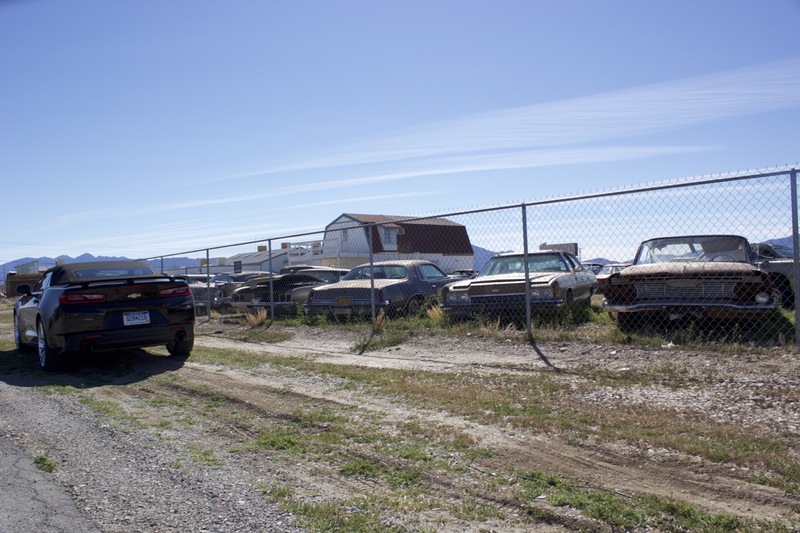 Moreover, despite riding on the celebrated GM Alpha Platform shared with the Cadillac ATS and CTS (as well as sharing the same assembly plant in the near future), roughly 70 percent of 2016 Camaro parts are unique to itself (so we’re told). 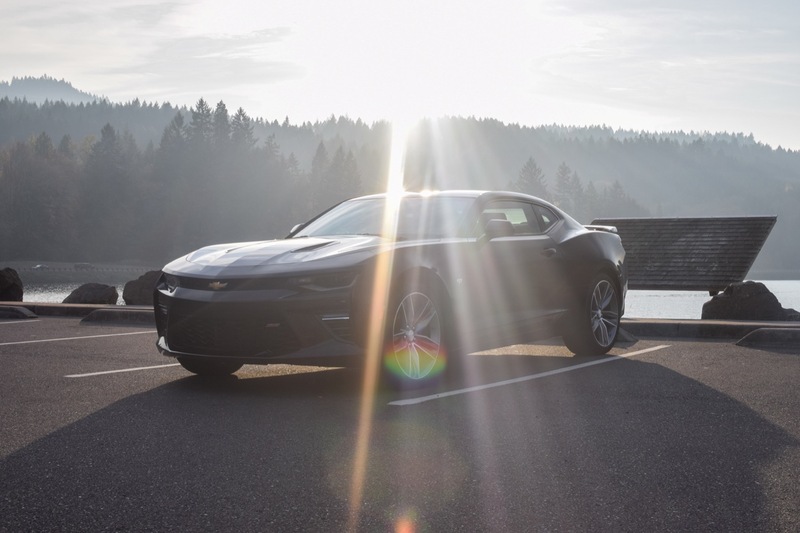 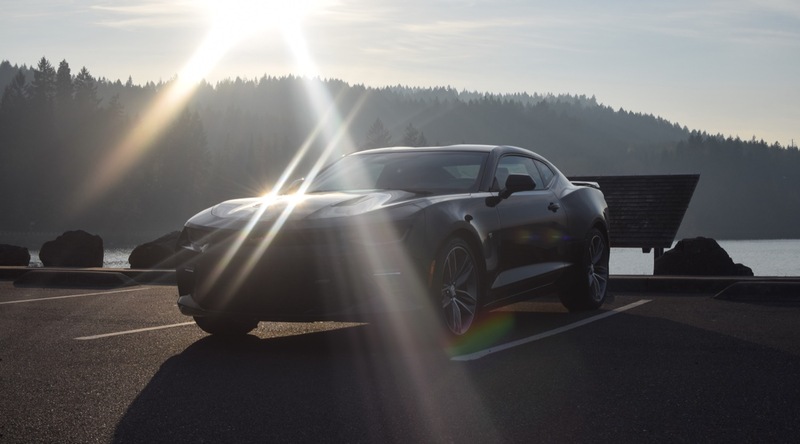 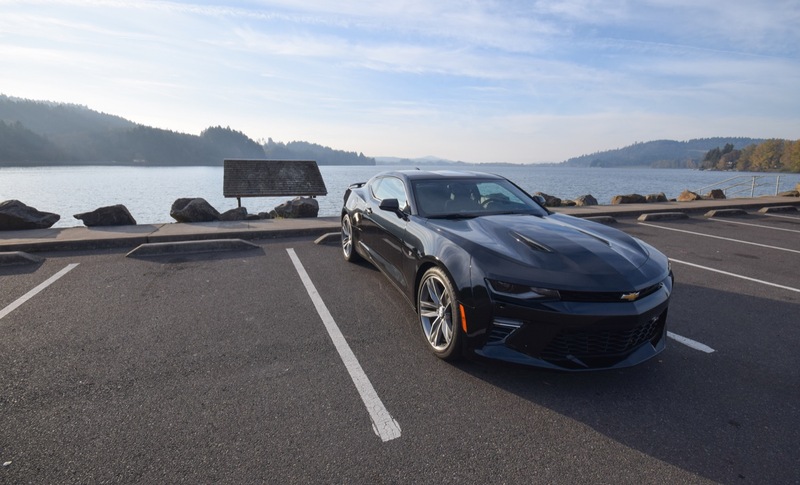 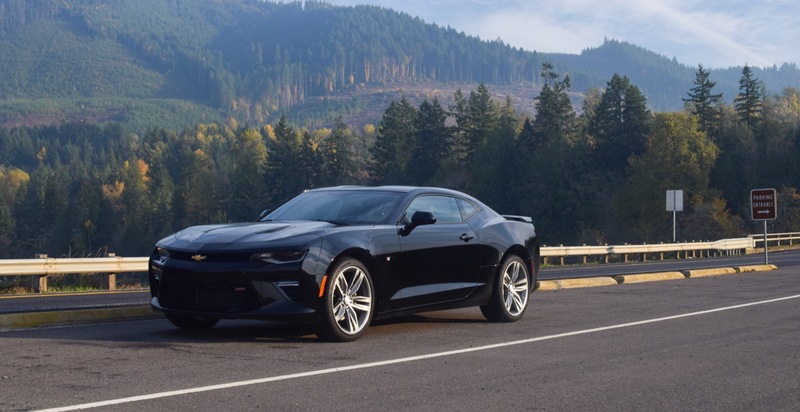 All-in-all, when compared to the fifth-generation Camaro V6, there’s more spring in the step of the gen-six. 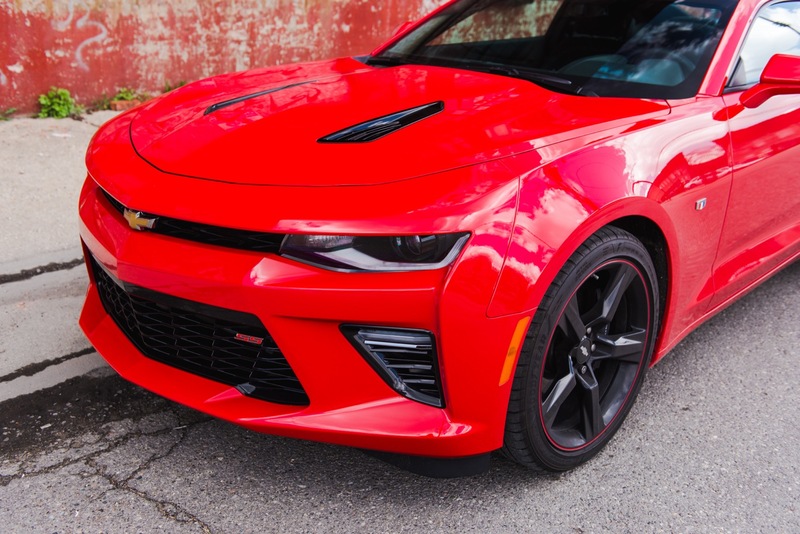 As if the Camaro went to a Freddie Roach boxing camp for a year, and suddenly figured out how to more effectively bob and weave with better footwork. 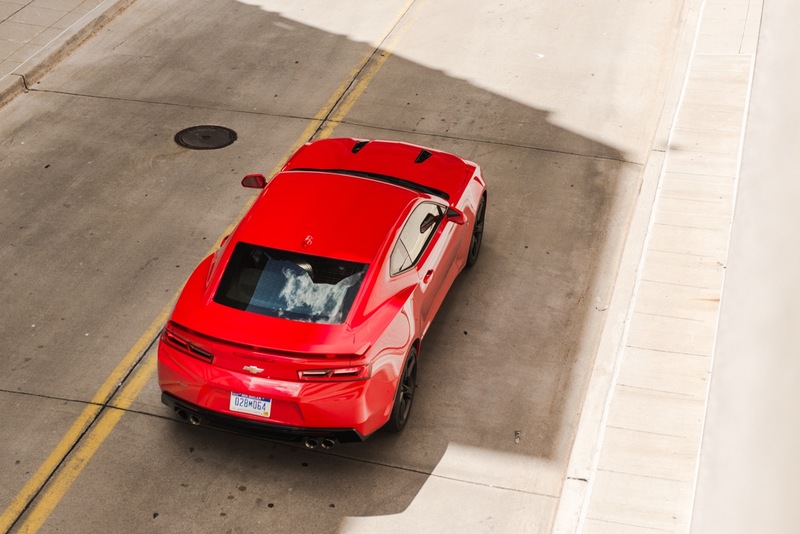 And it’s quicker to the punch as a result. 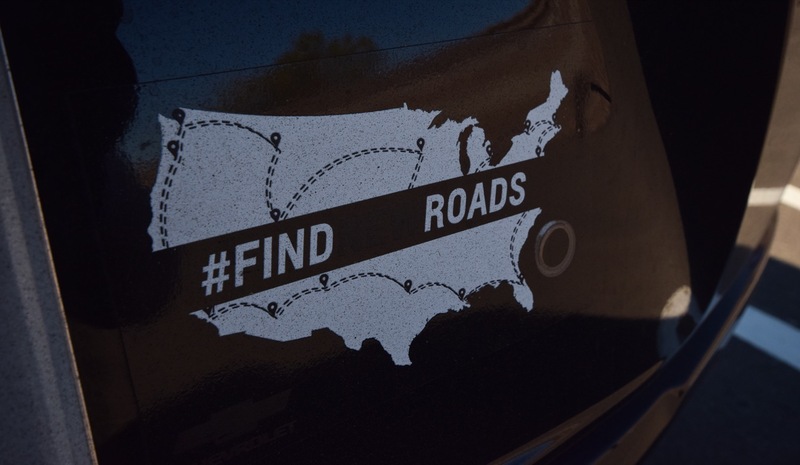 Specifically in the corners. 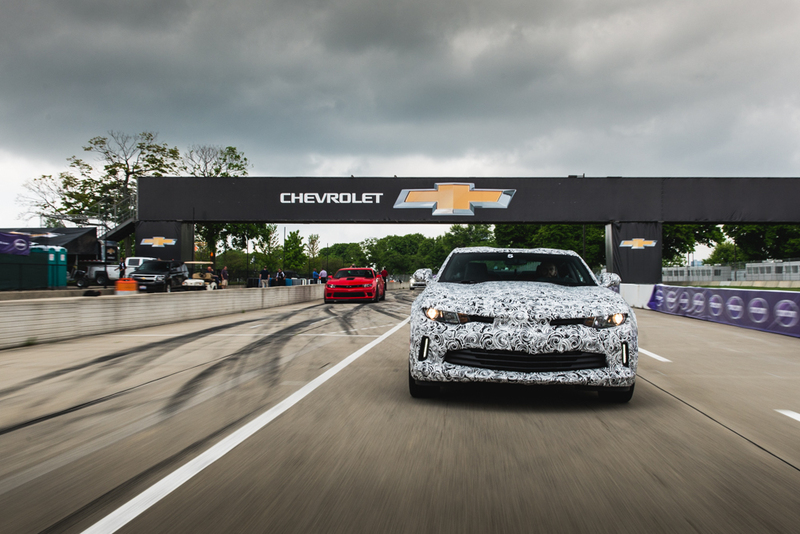 You should be aware that we were even able to complete four laps in the 2016 Camaro without crashing it, which is apparently an accomplishment. 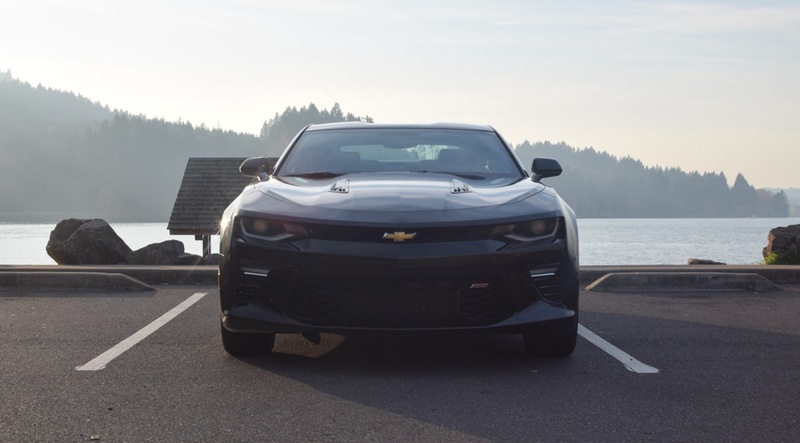 The fifth-generation Chevrolet Camaro was largely criticized for having very “tank-like” forward visibility, with rearward views to match. 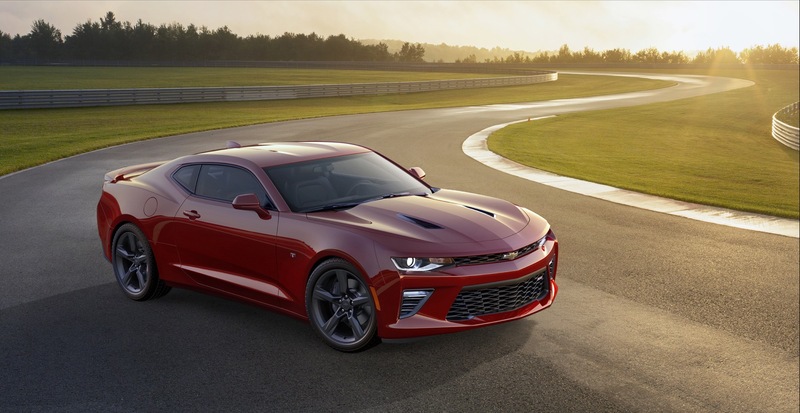 If you were expecting huge changes with the 2016 Chevrolet Camaro, sorry. 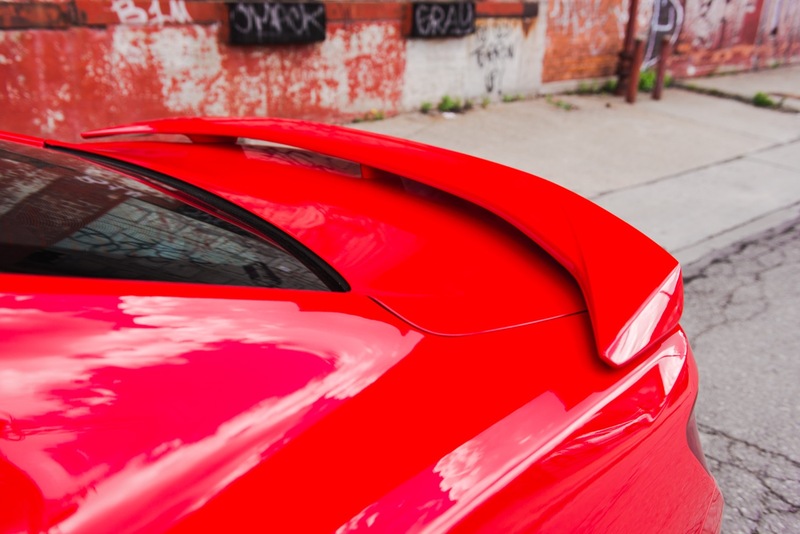 Love it or hate it, the belt line still feels high in relation to the roof line, yielding familiar visibility characteristics. 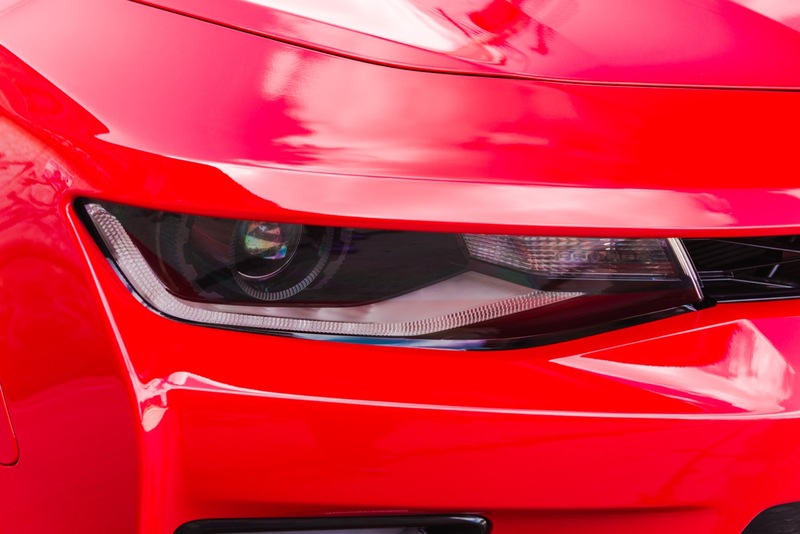 Yet that’s not to say outward visibility hasn’t improved. 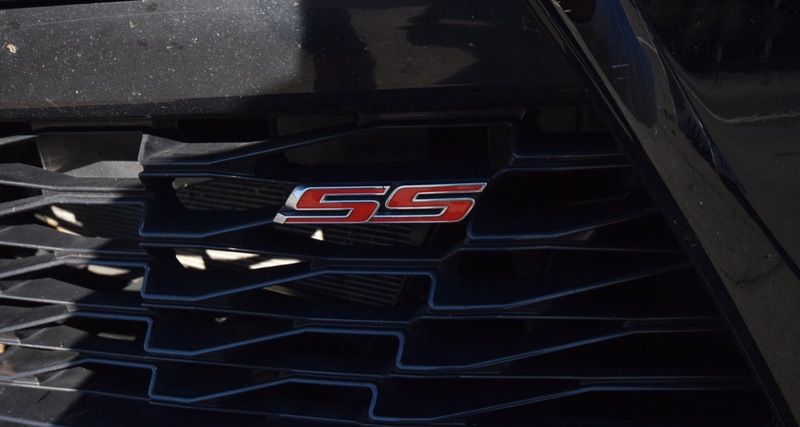 It just does so marginally. 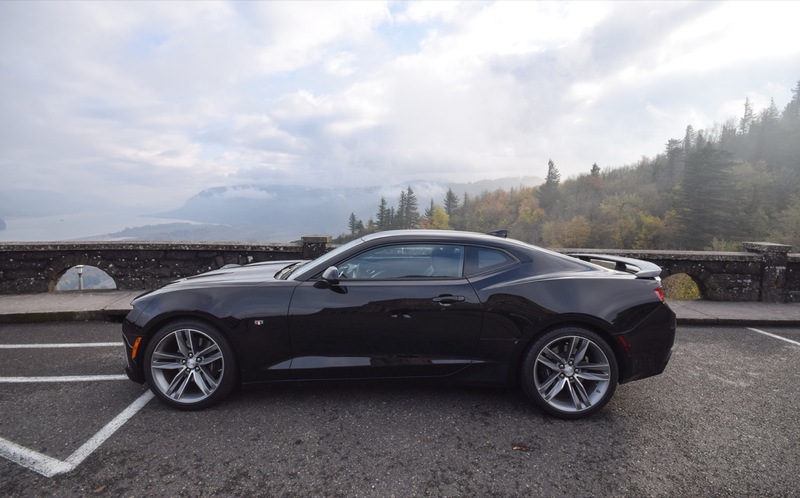 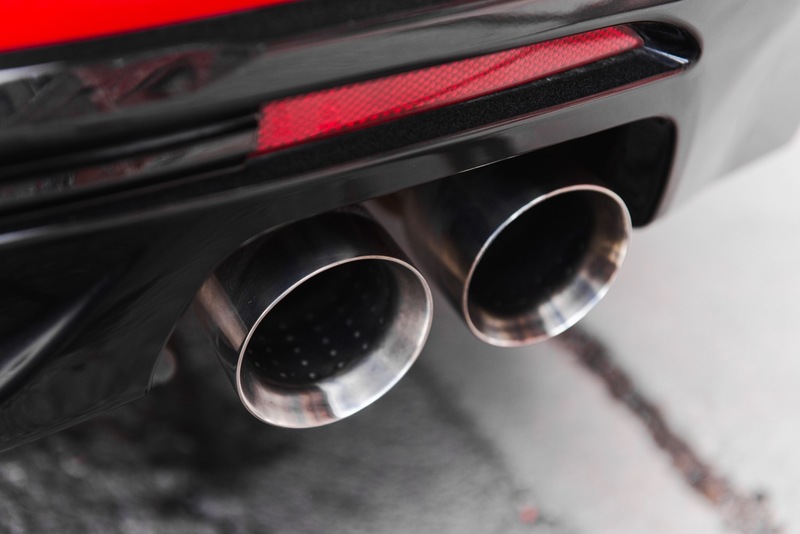 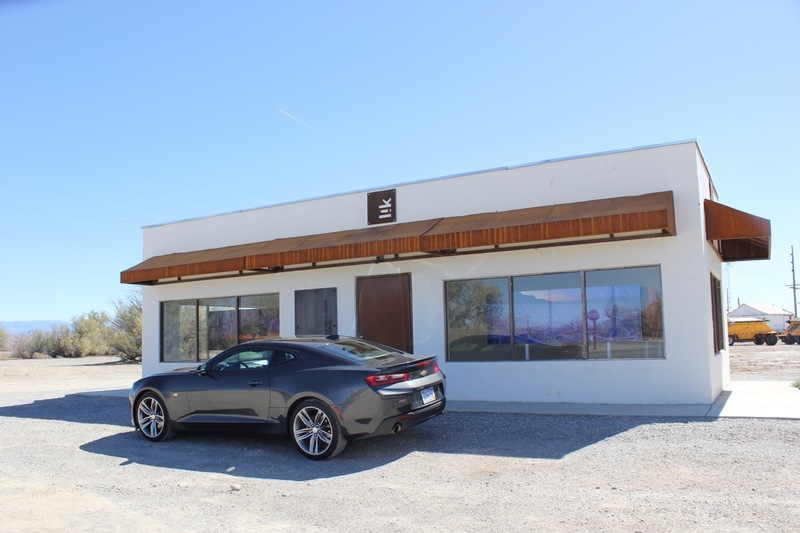 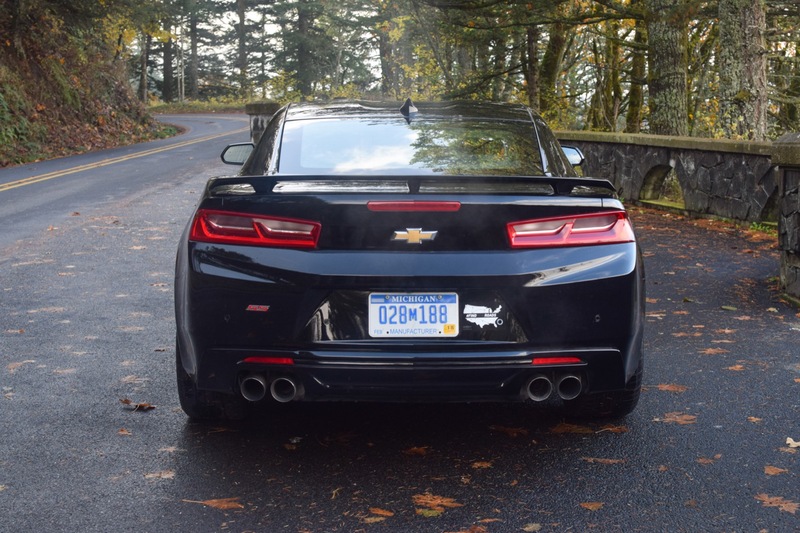 If you closed your eyes and merely listened to a 2016 Chevrolet Camaro V6 with dual mode exhaust go by at full chat, you could be fooled into thinking that it was a car developed in Maranello instead of Milford. 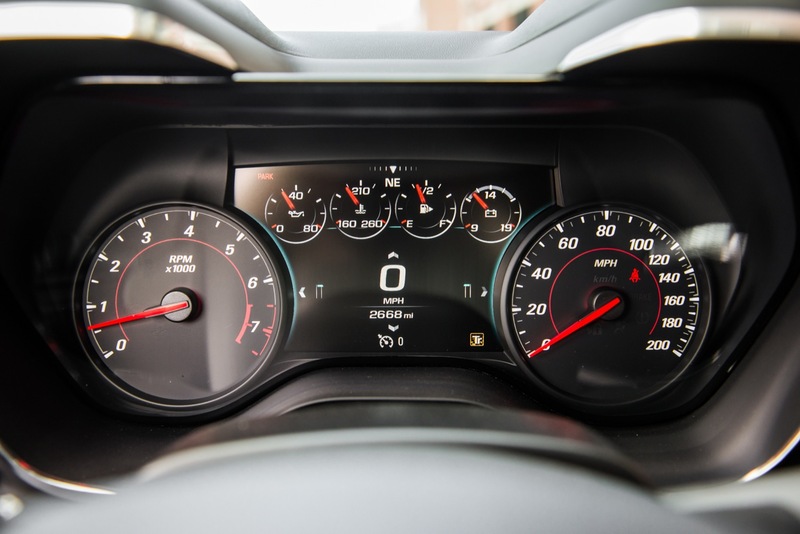 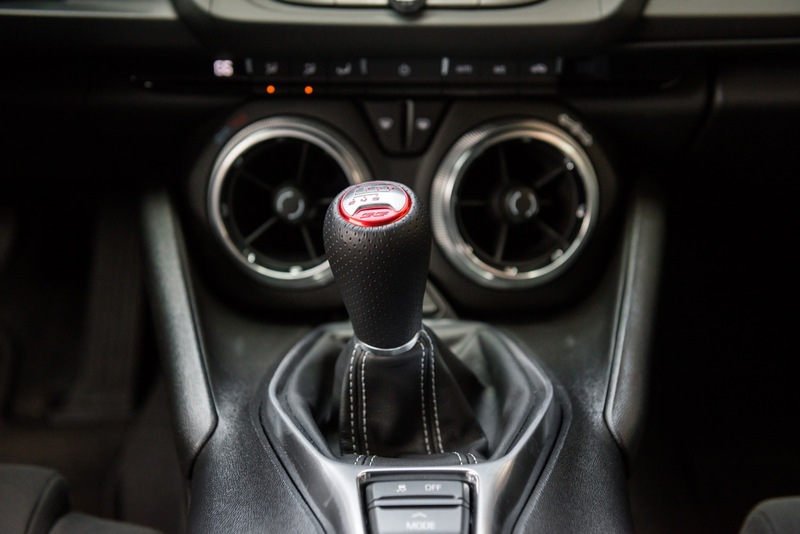 The experience delivers lots of howl and treble as the butterfly valves tilt open when the revs pass 5,000 rpm or so, submitting to the sensual redline of around 6,500 rpm. 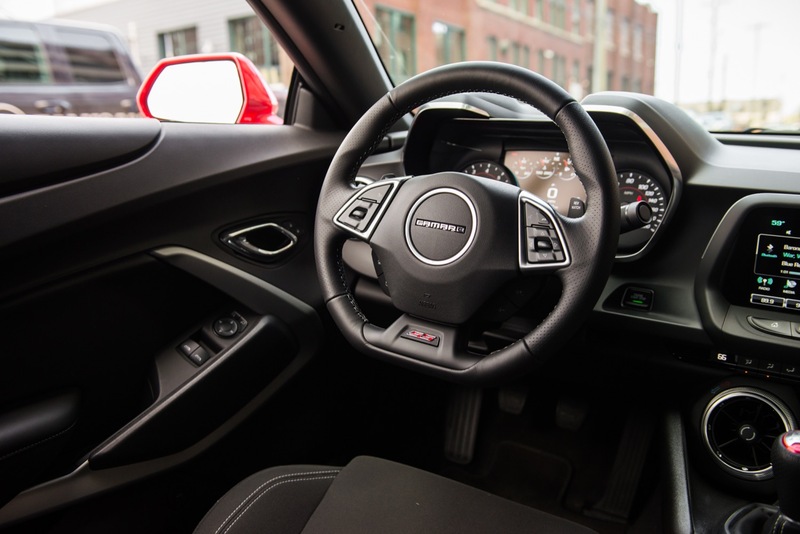 Trust us, the dual mode set up is the configuration you’ll want to order. 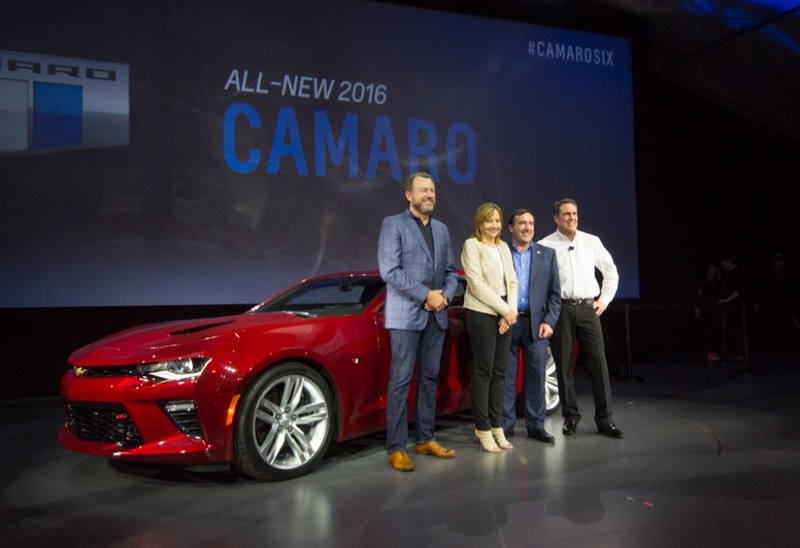 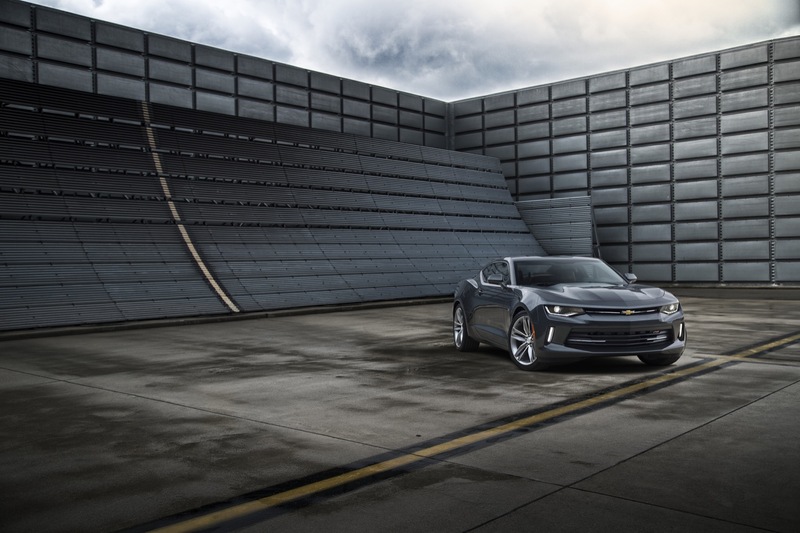 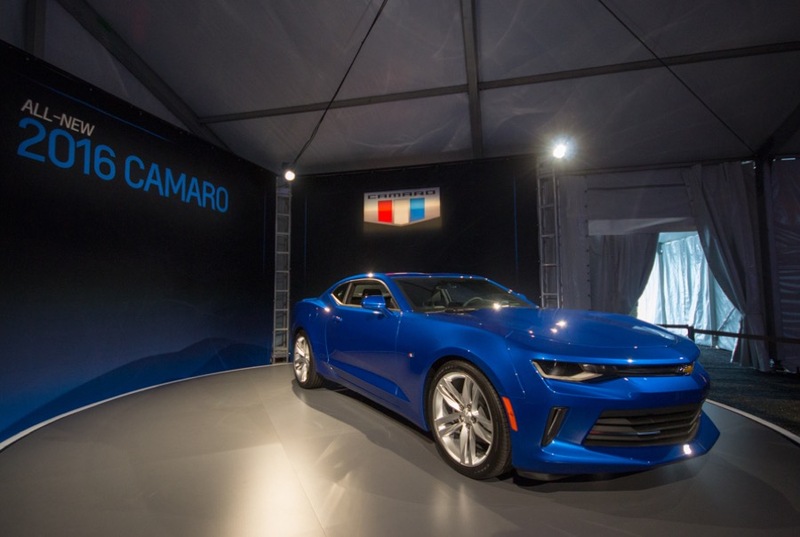 During the unveiling of the 2016 Chevrolet Camaro this past Saturday, which was attended by both the media and Camaro customers, the room echoed in awe as a slide displaying the cabin of the 2016 Chevrolet Camaro flashed on the projector screen whilst GM product chief Mark Reuss was presenting. 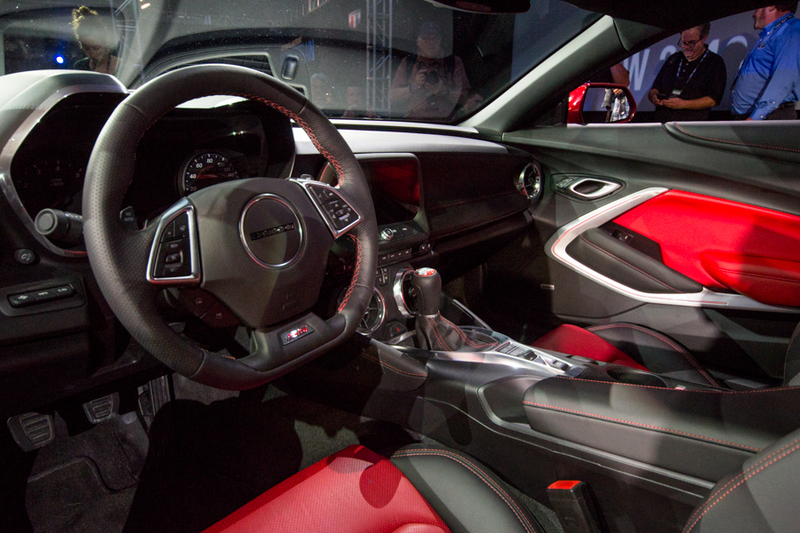 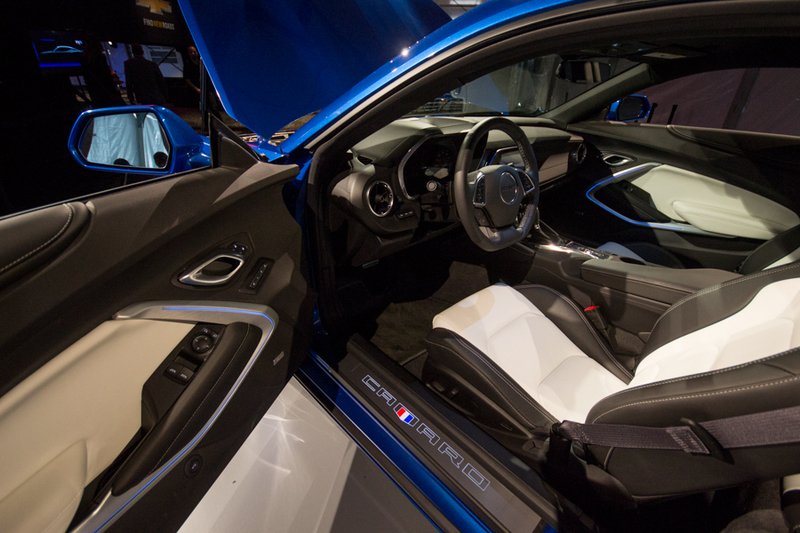 There’s a lot of C7 Corvette in the cabin, naturally, as the same design team was in charge of both interiors. 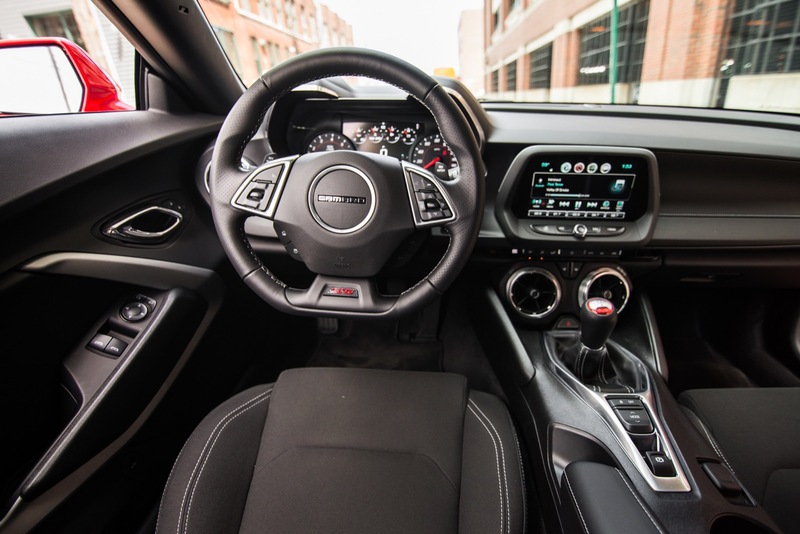 Instantaneously, the fifth-generation Camaro cockpit now appears drab and wretched by comparison. 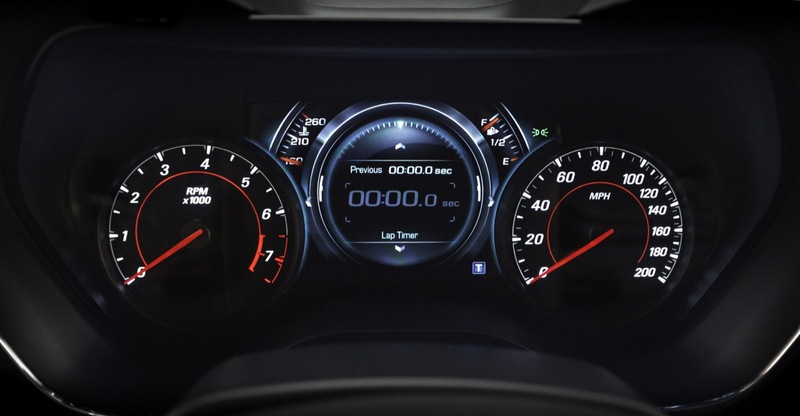 Though if we were to gripe, the top of the dashboard feels like it’s missing something. 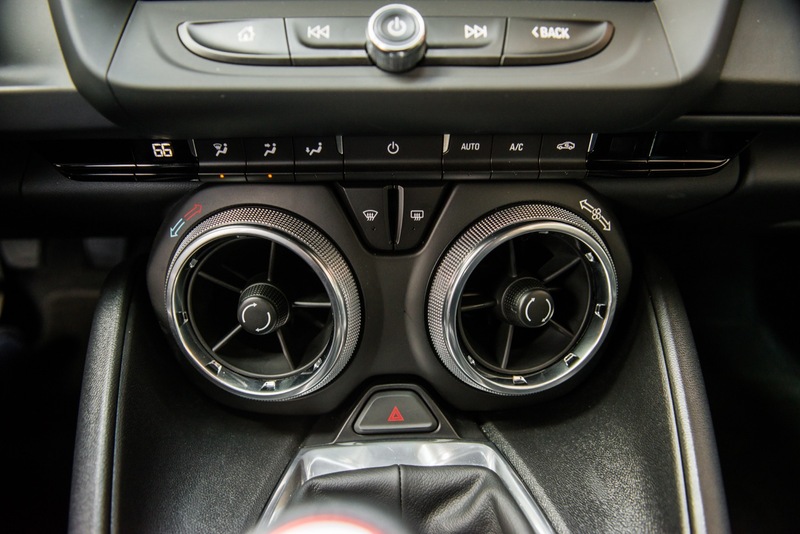 As if it was meant to hold a driver-facing gauge pod of sorts, and yet lacks one. 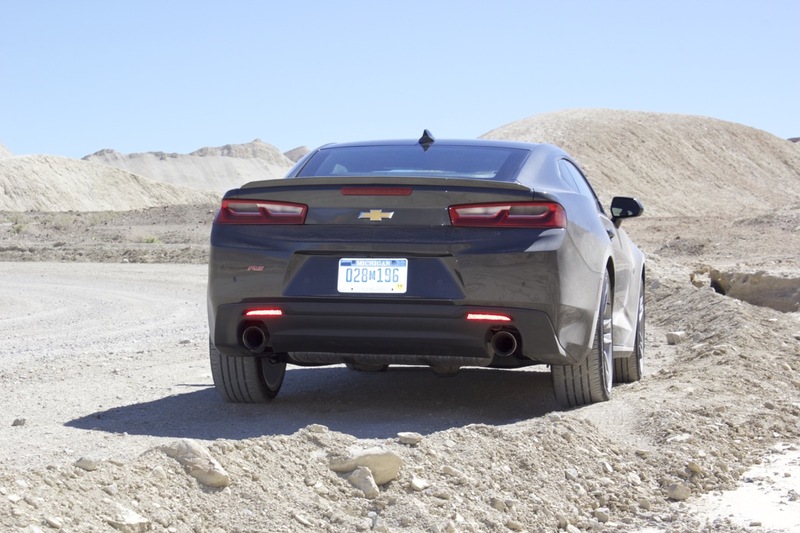 The customizable LED ambience lights didn’t appear to be operating during our time driving the 2016 Camaro, but they sure popped out on the showroom floor. 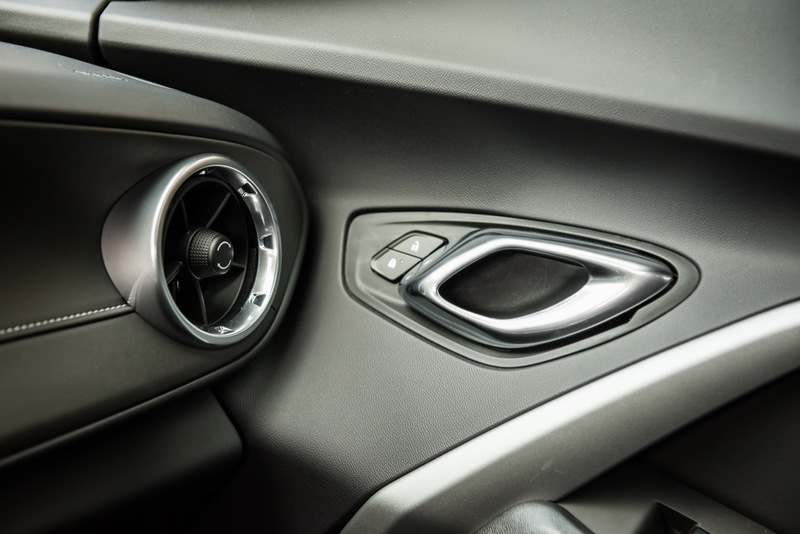 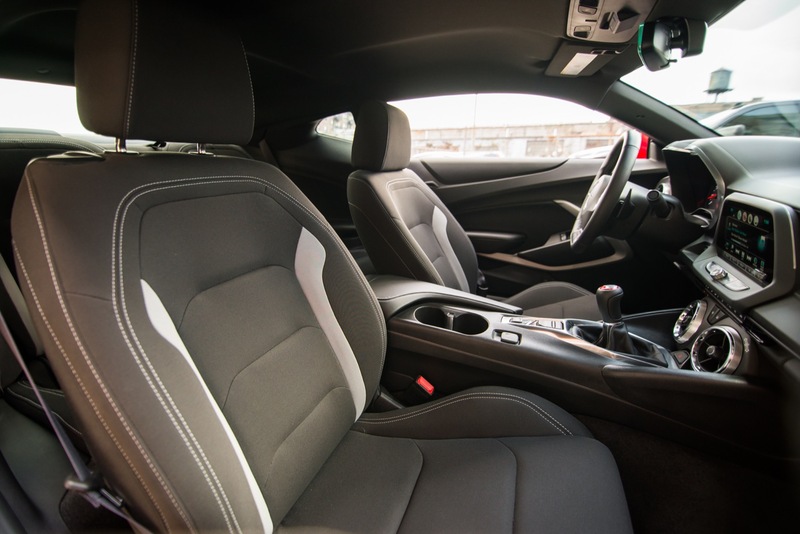 While driving, however, it was immediately noticeable on how quiet the interior is. 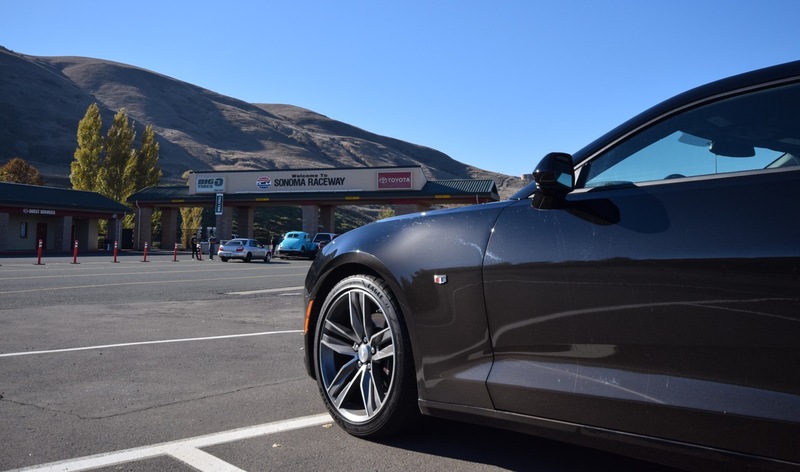 Maybe too quiet for a car of this nature, one might say. 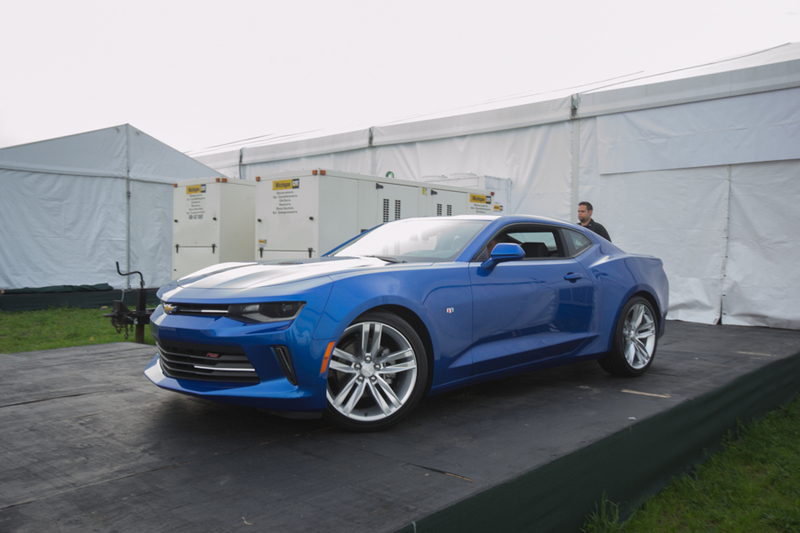 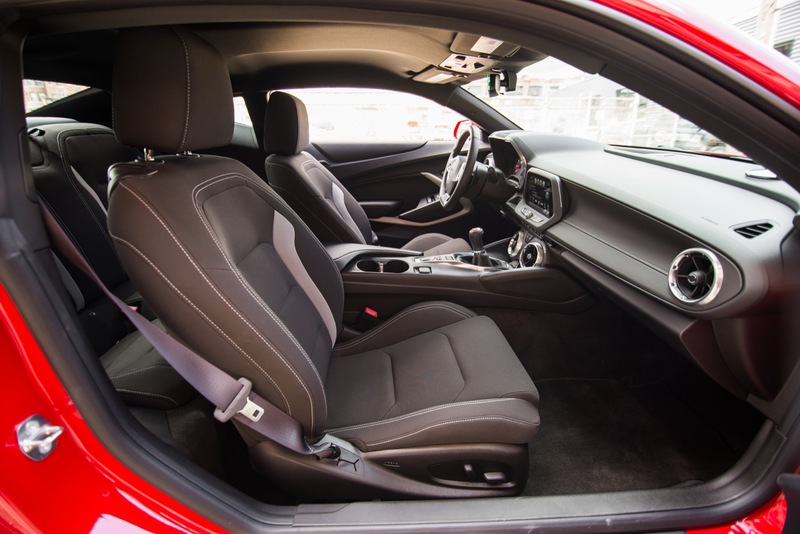 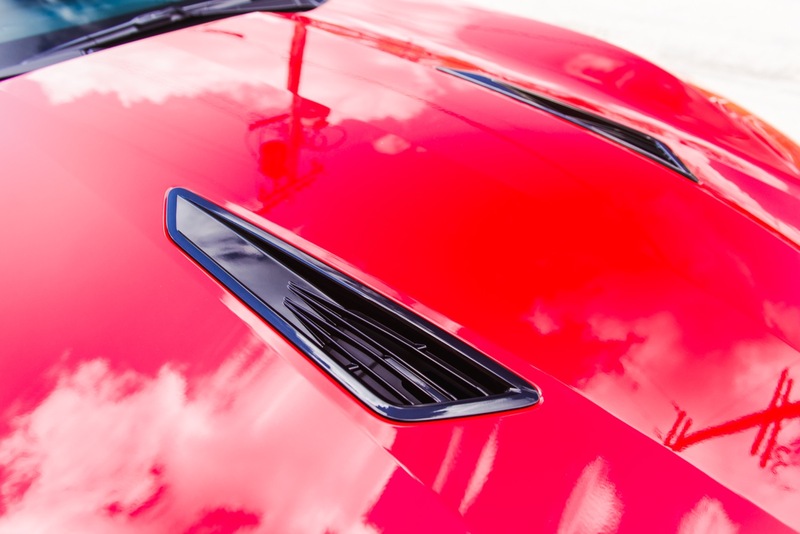 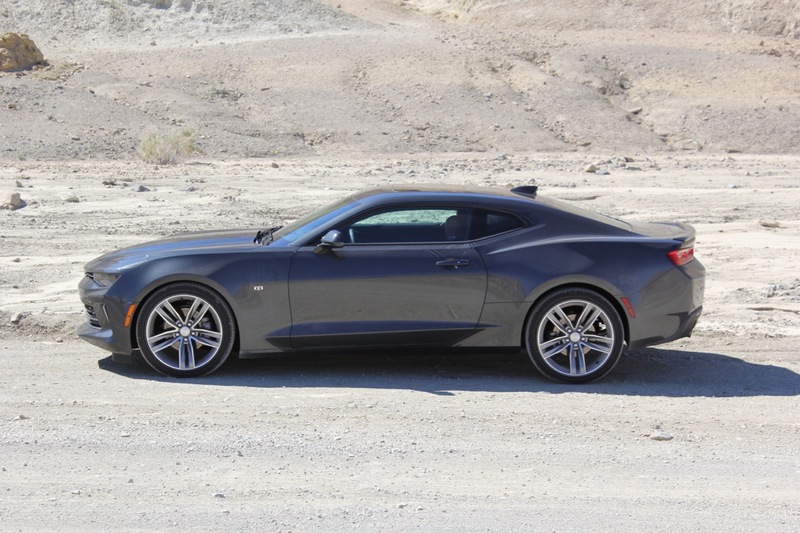 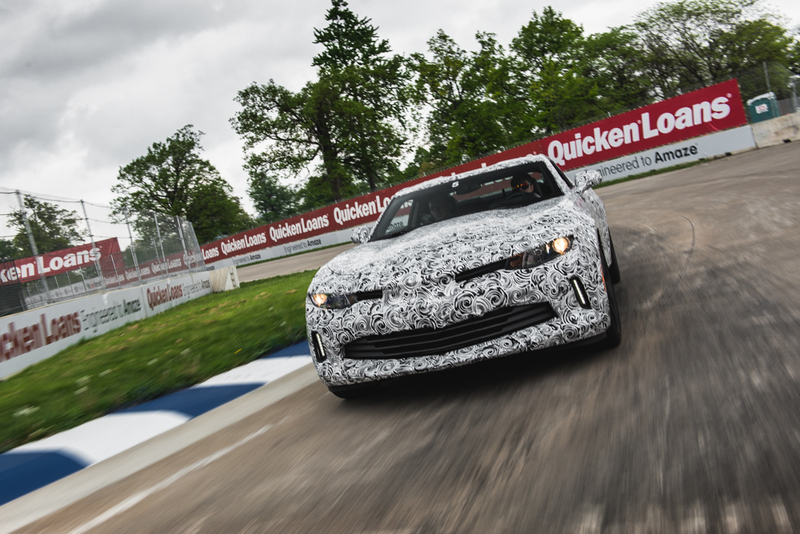 To explain, 2016 Camaro engineers tell us that the new car will incorporate an active noise cancellation system as seen in other GM products, and the same engine sound enhancement system as seen on its Cadillac cousins. 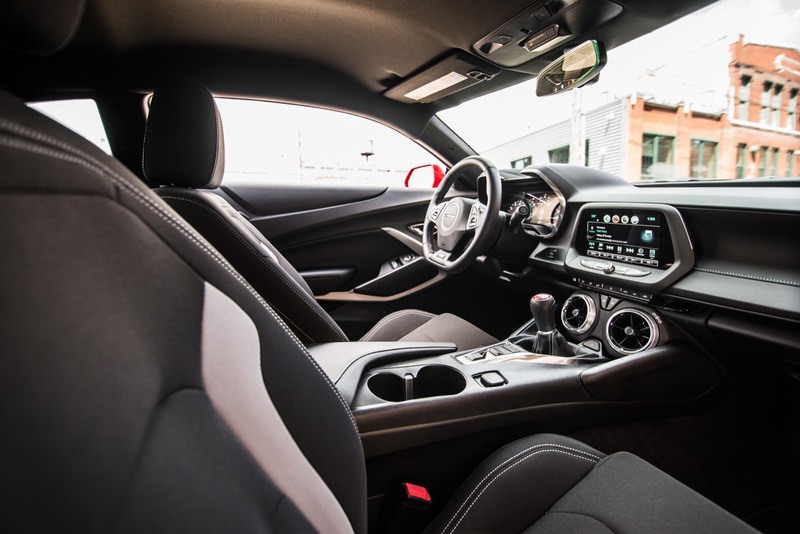 Meanwhile, the seats, armrests and placement of the gear selector all seem to contour around the driver’s body more effectively than the fifth-generation. 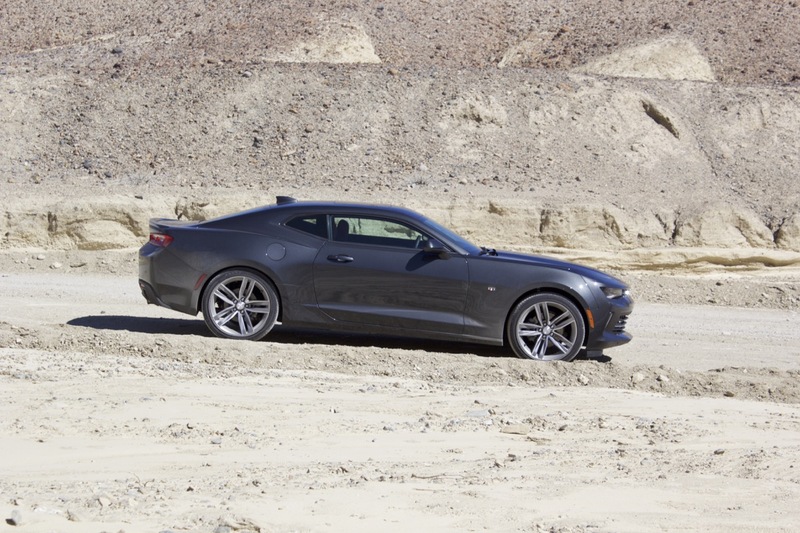 Lesser fifth-generation Camaro models had a tendency to understeer. 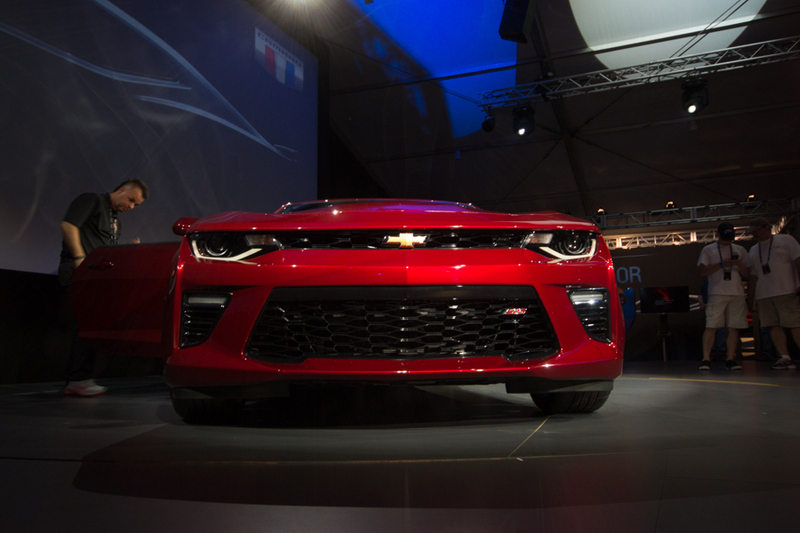 That’s not exactly the case with the 2016 Camaro. 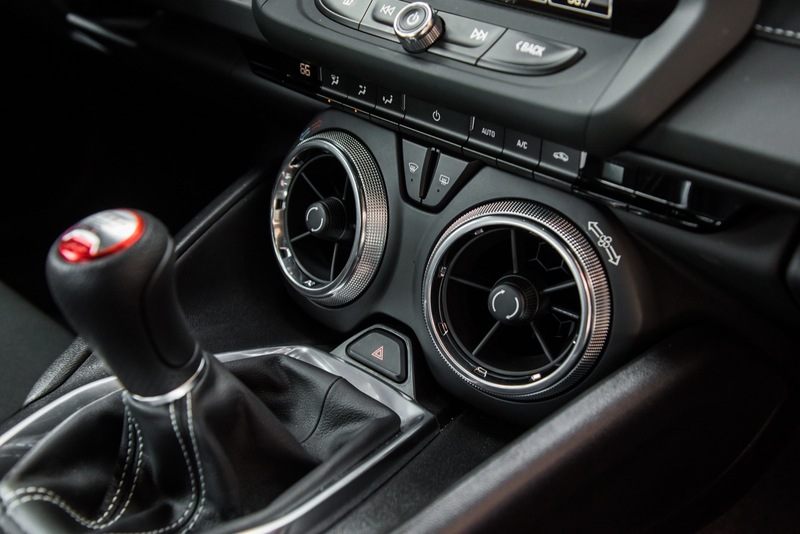 The new configuration is a ZF-sourced rack-mounted electric power-assisted and variable ratio steering unit, and feathers the wheels crisply to the whim of the driver. 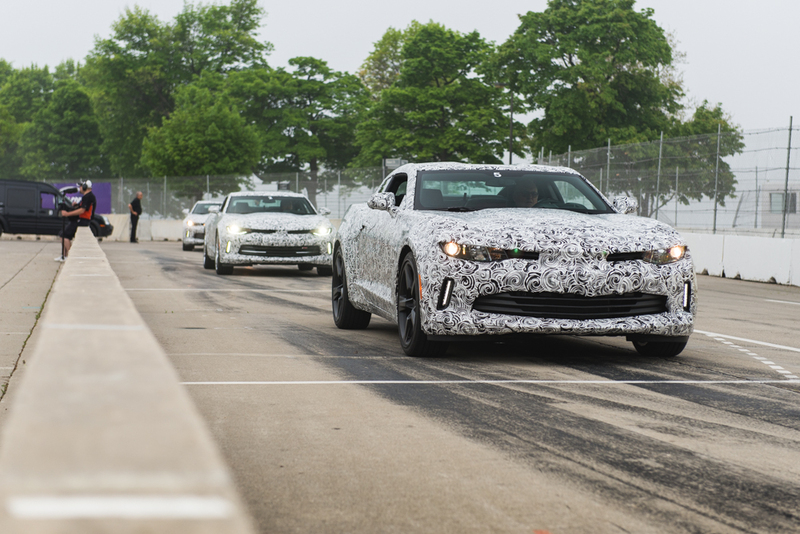 Yet, seeing as these were 2016 Camaro prototypes and not final products, we’re hoping to see more steering effort in the finished product. 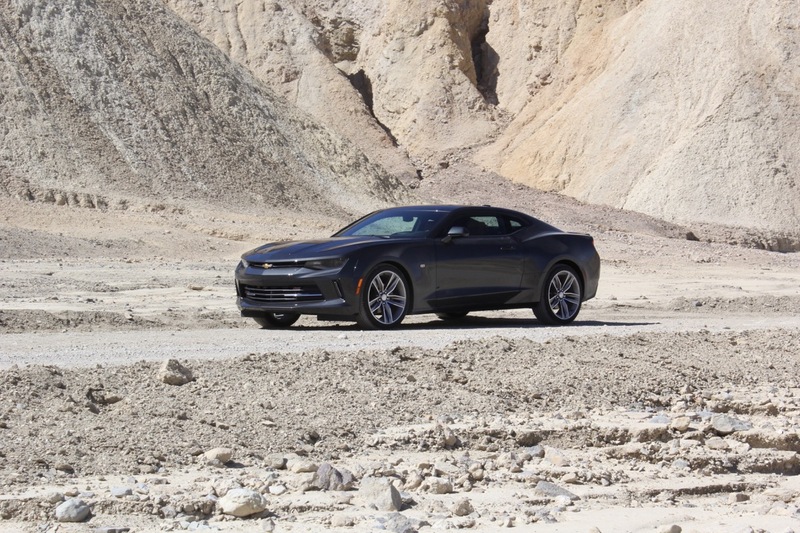 For us, it seemed a tad too soft at high speeds — even in Sport Mode. 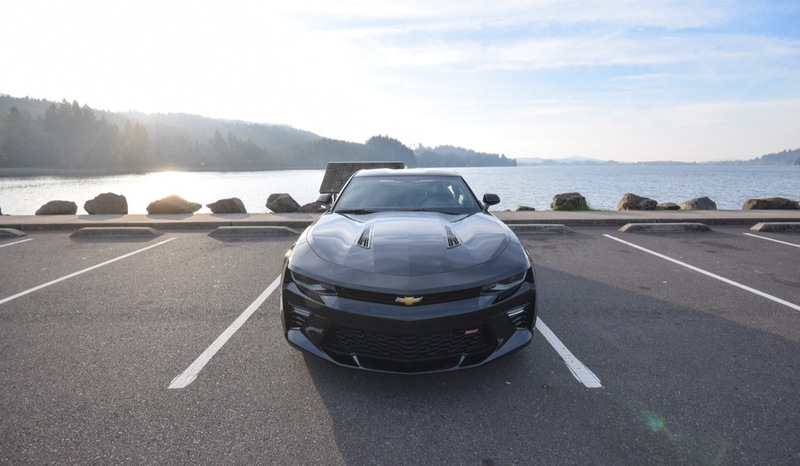 Camaro team, we hope you read this. 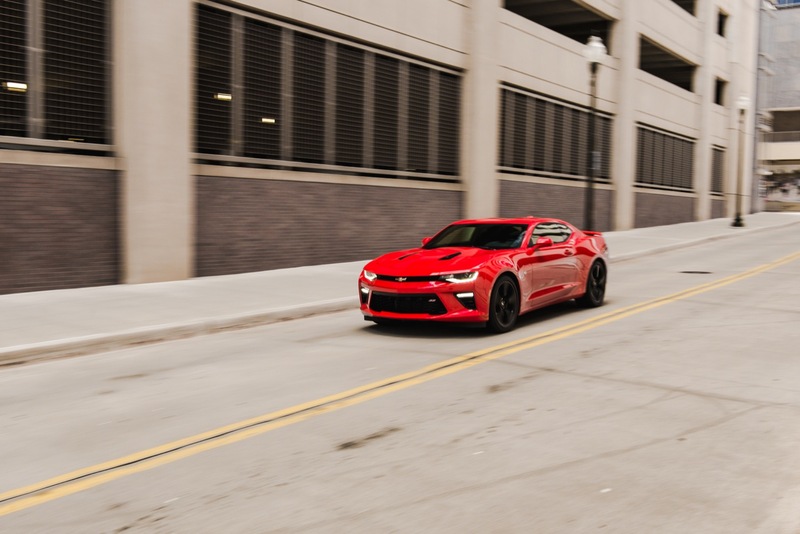 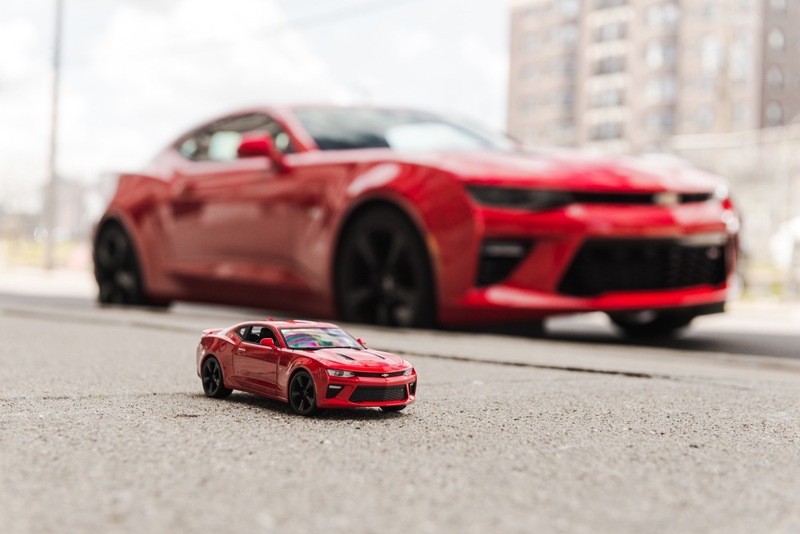 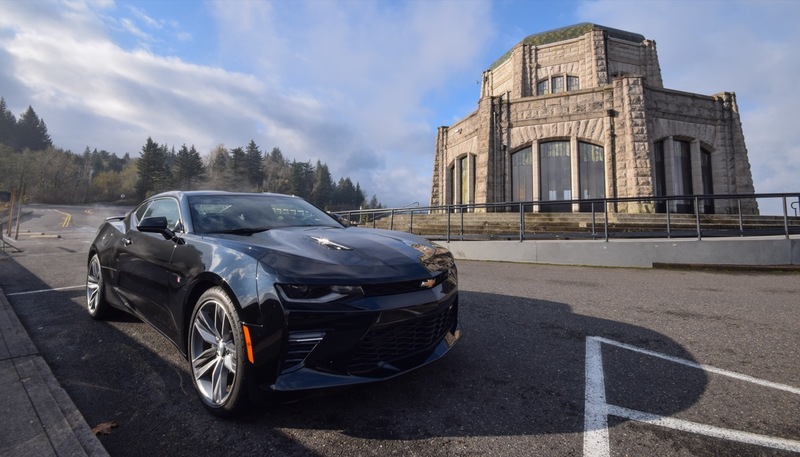 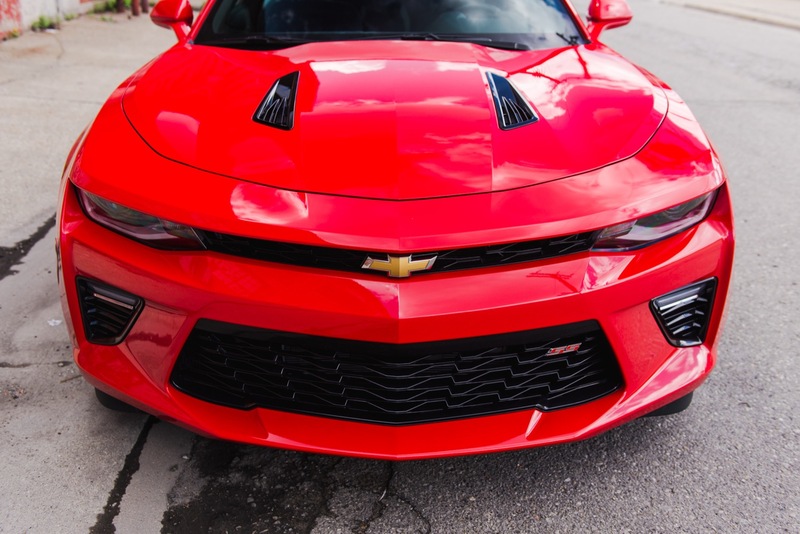 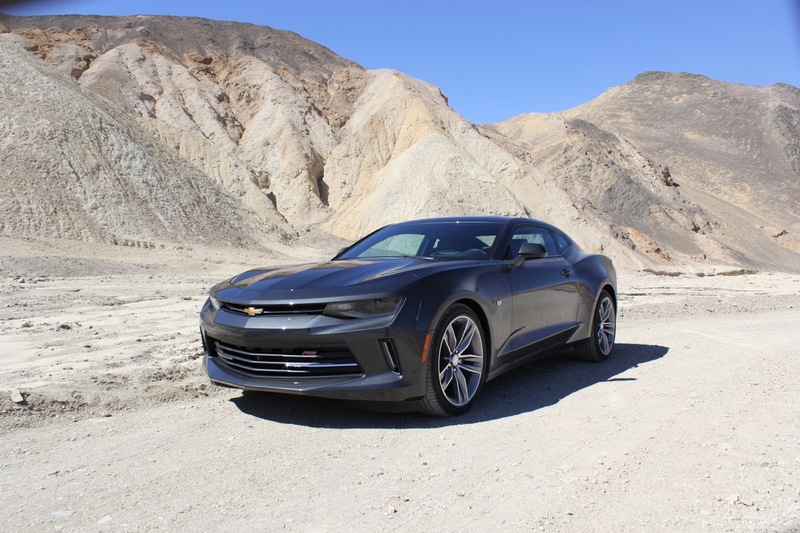 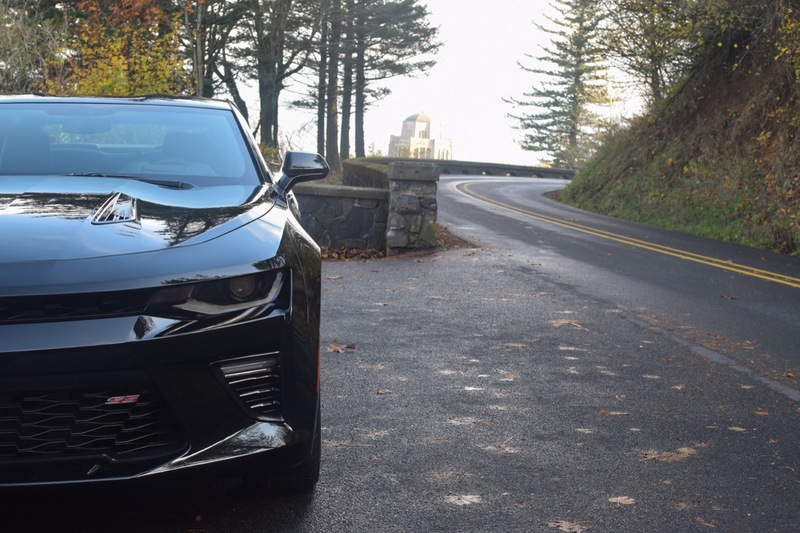 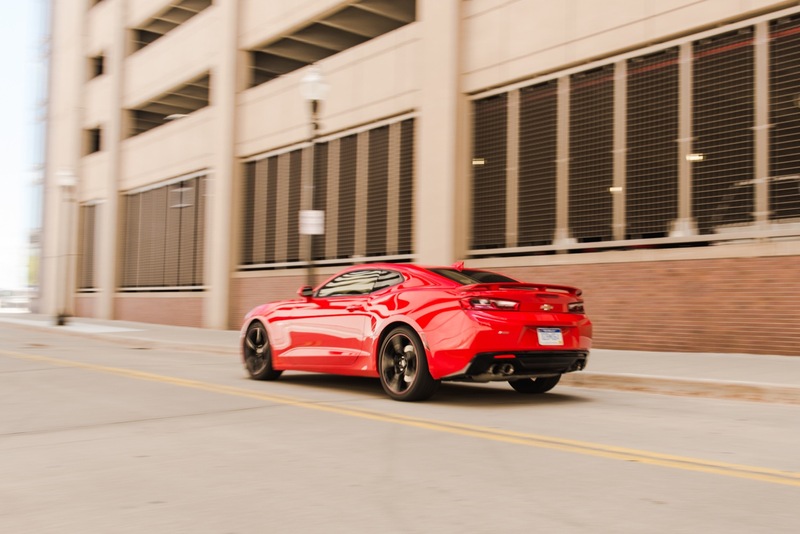 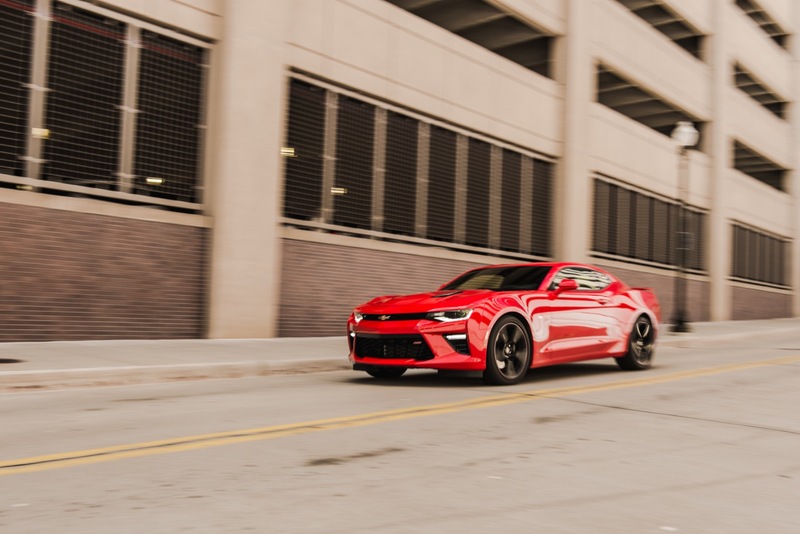 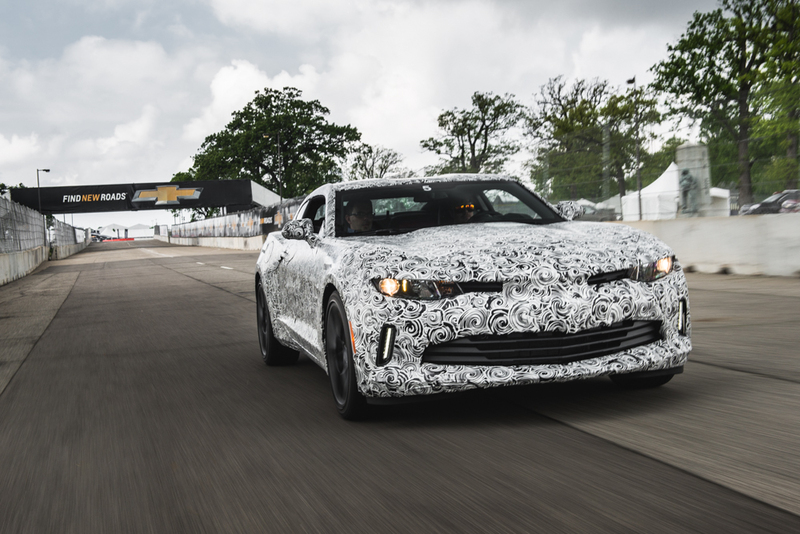 There’s been a lot of talk about how the sixth-generation Chevrolet Camaro incorporates the Alpha Platform first seen with the Cadillac ATS and then the CTS. 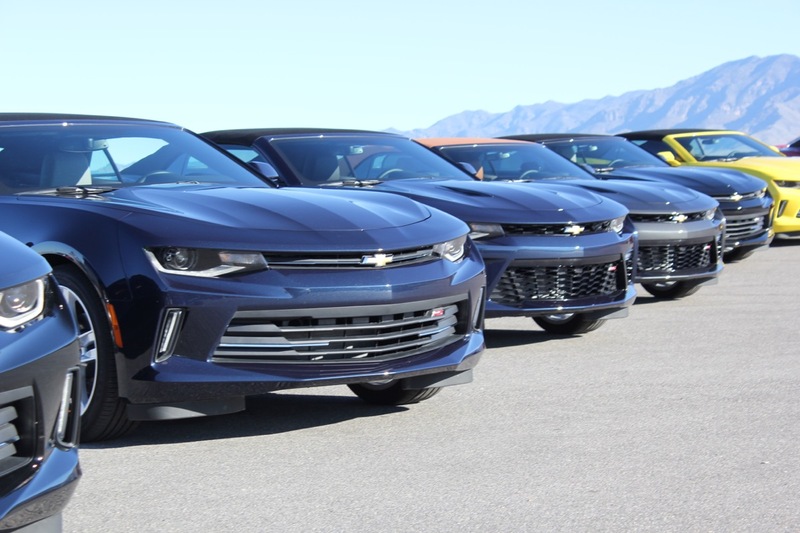 But that doesn’t mean they drive in some identical fashion. 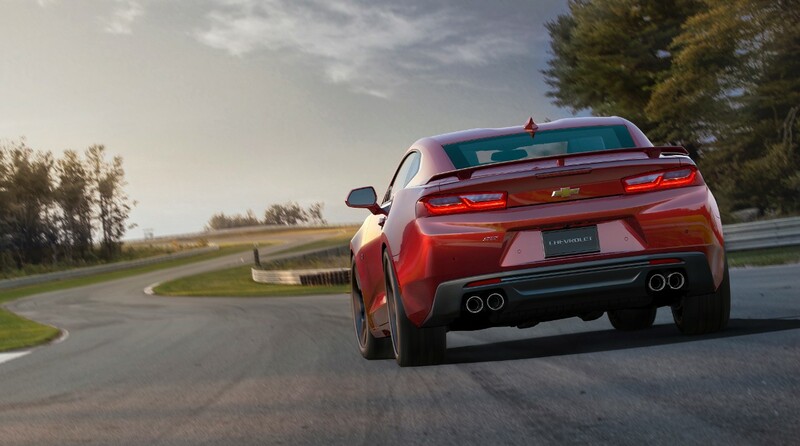 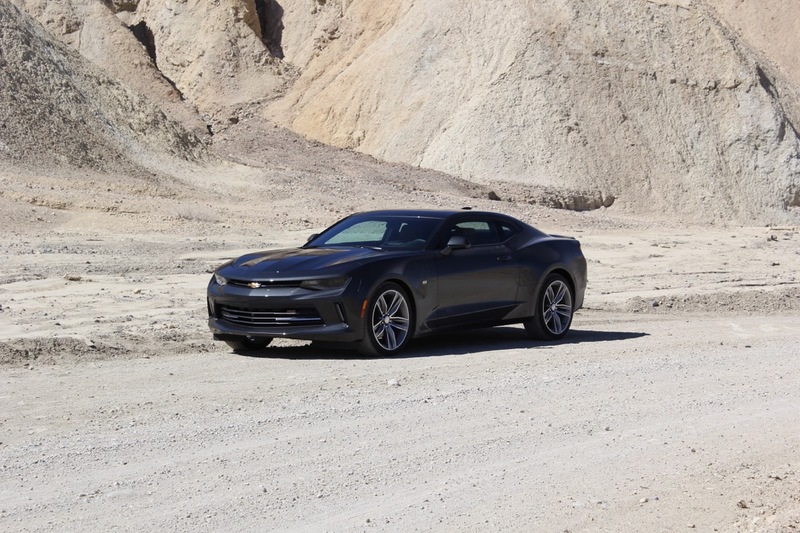 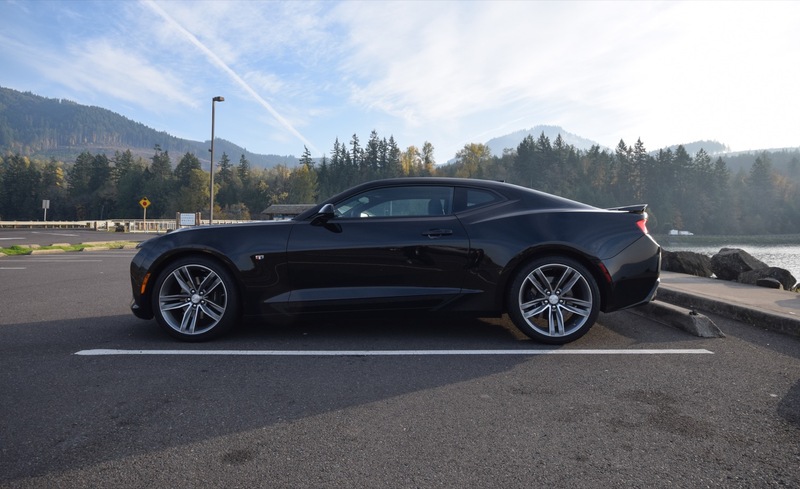 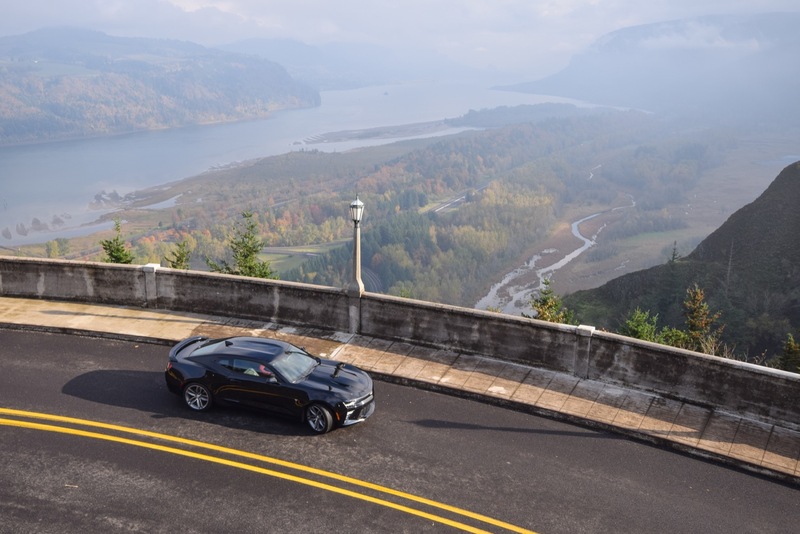 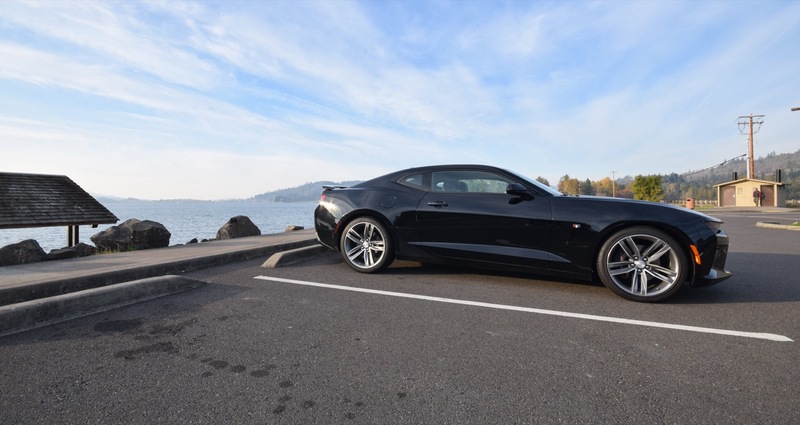 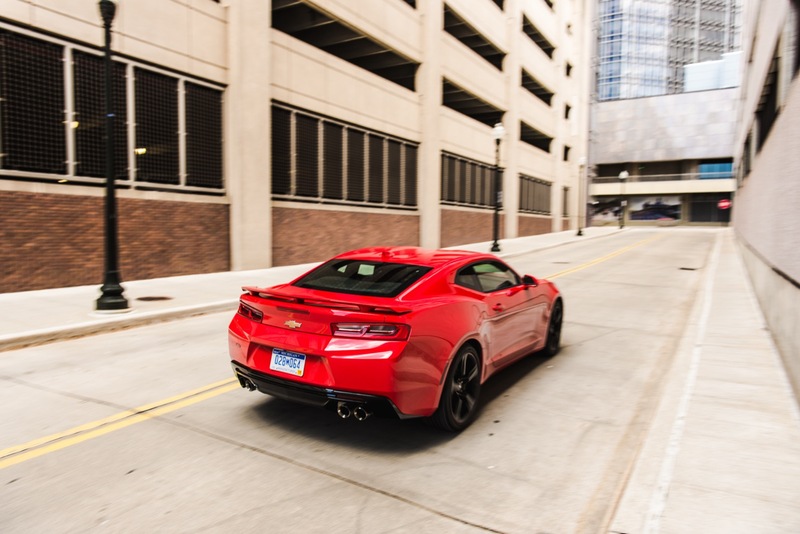 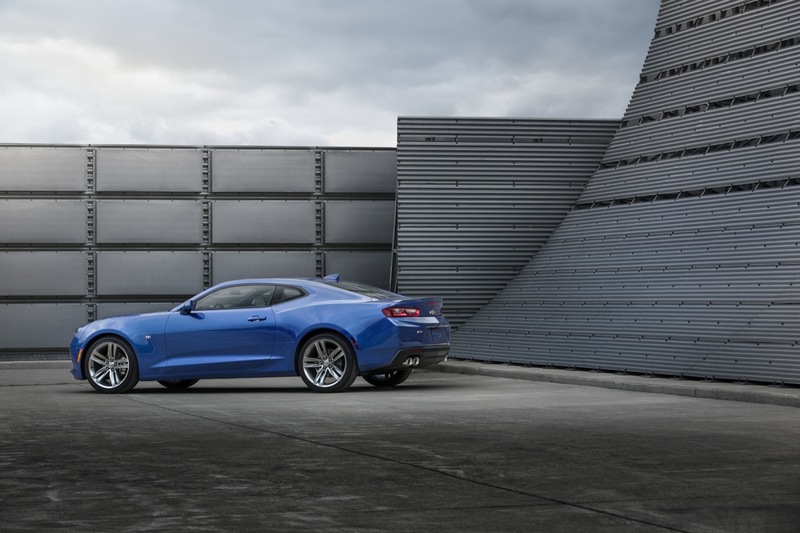 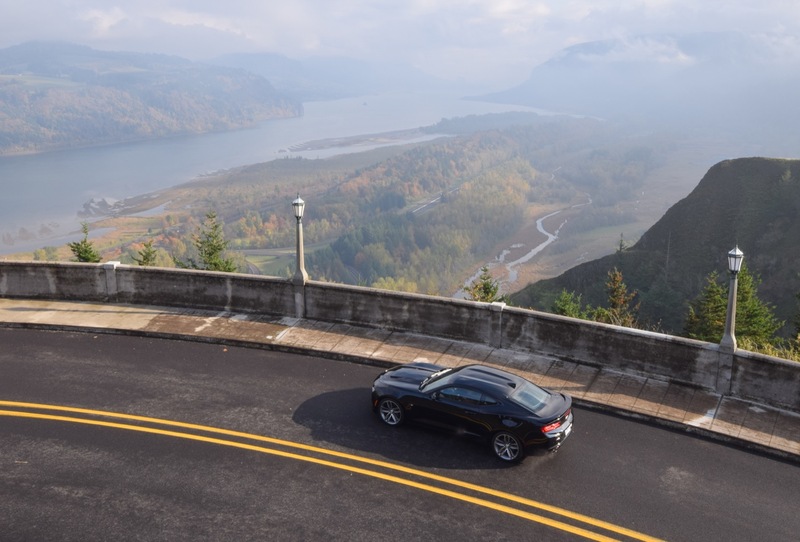 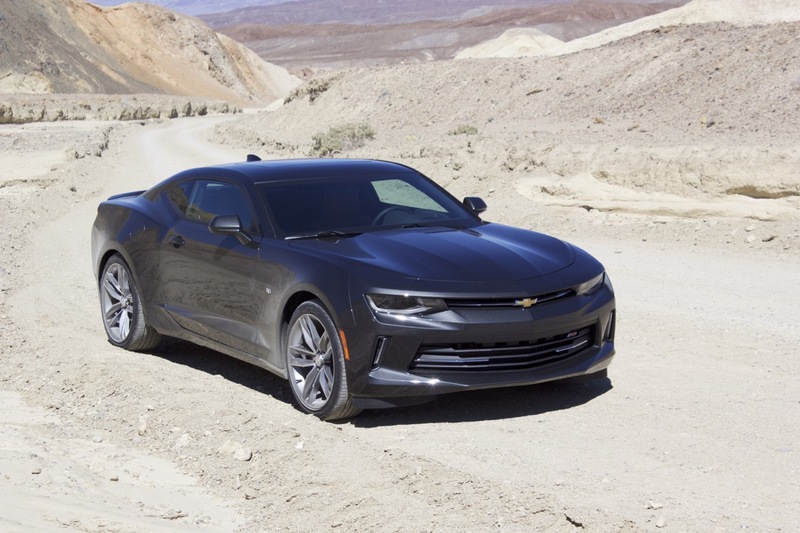 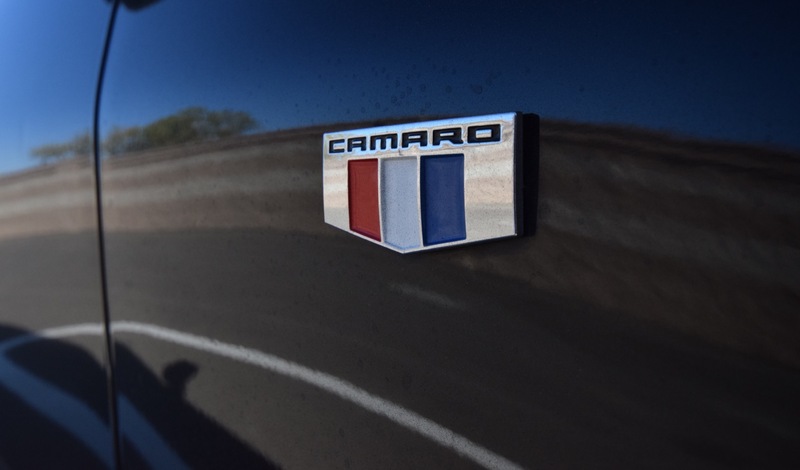 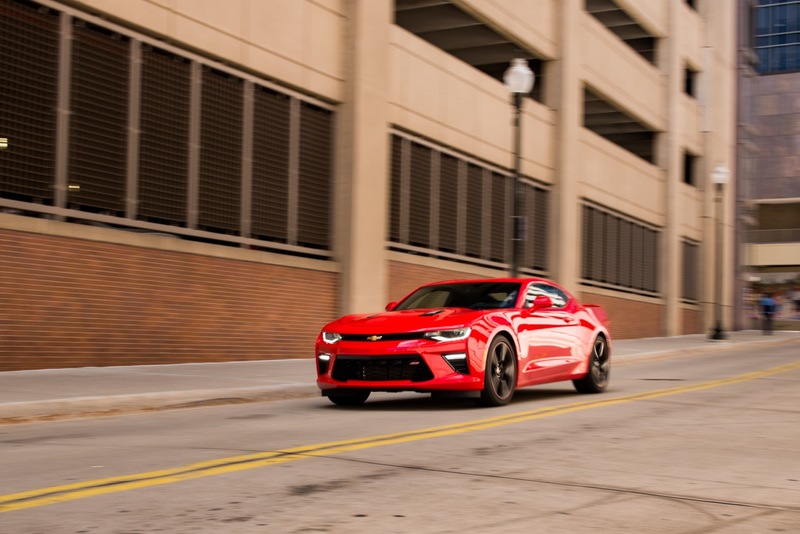 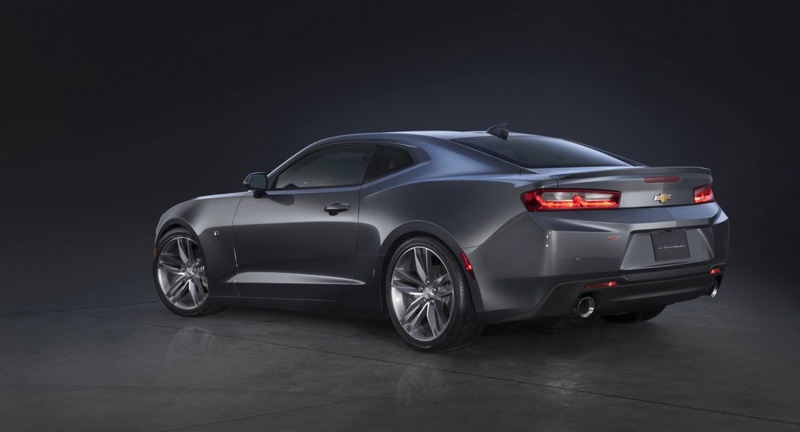 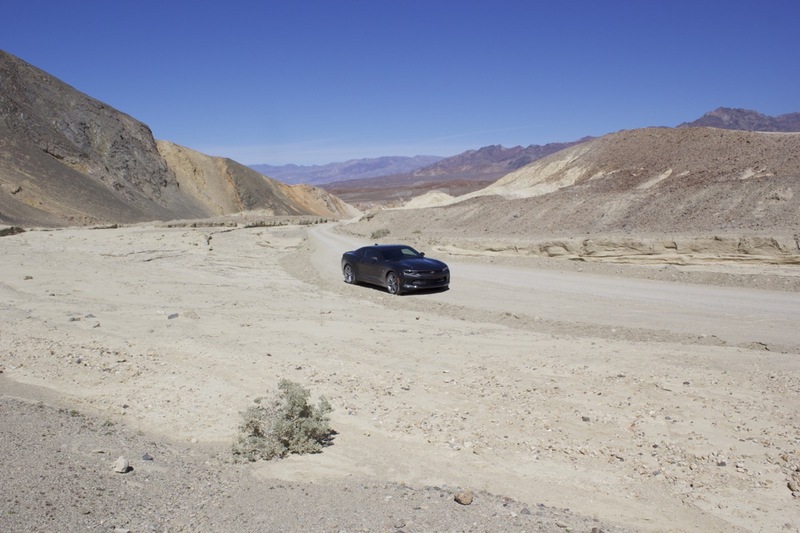 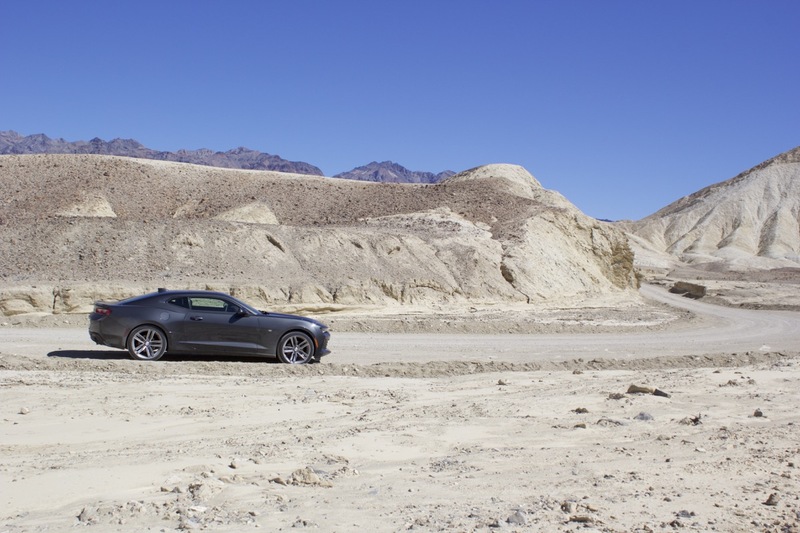 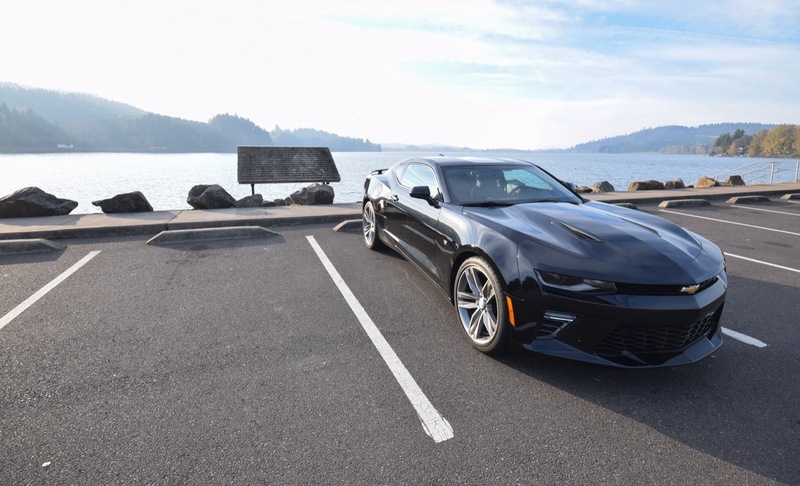 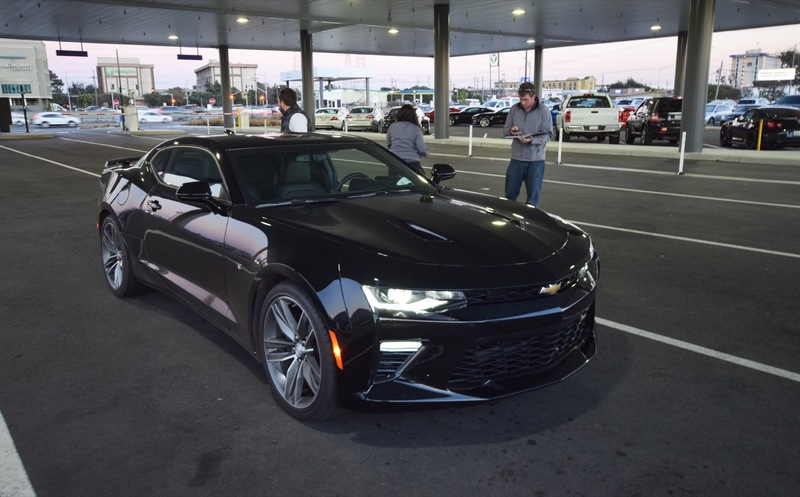 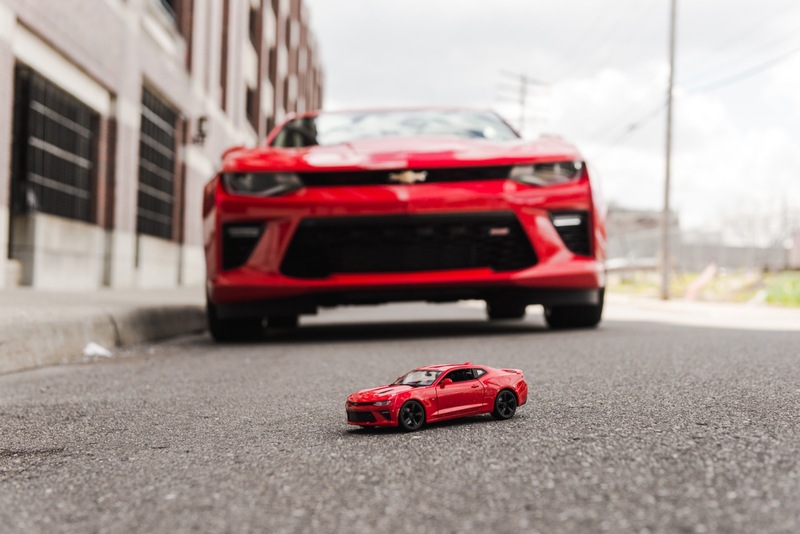 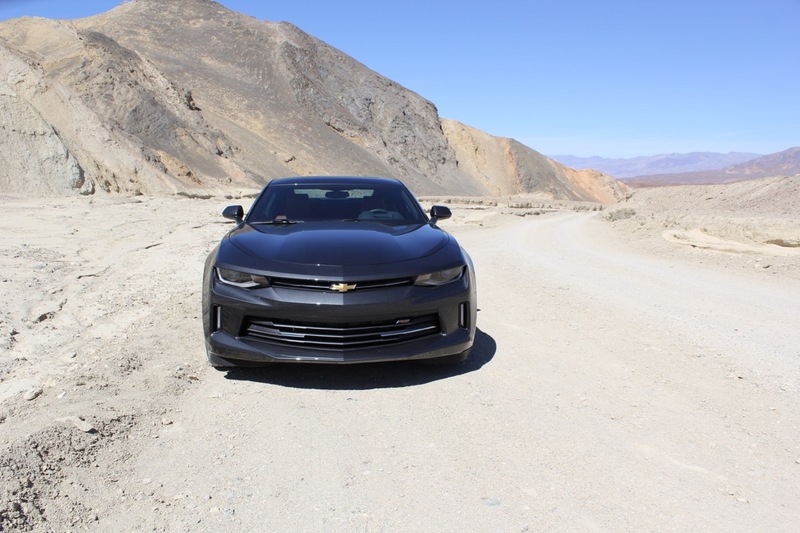 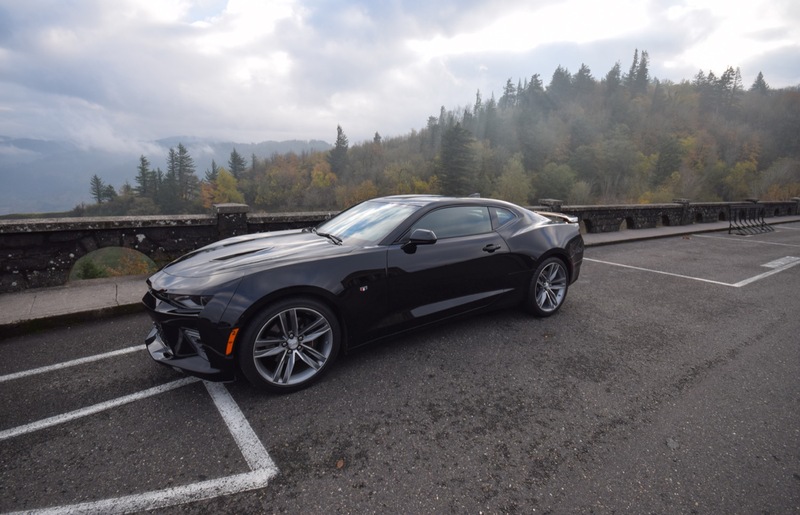 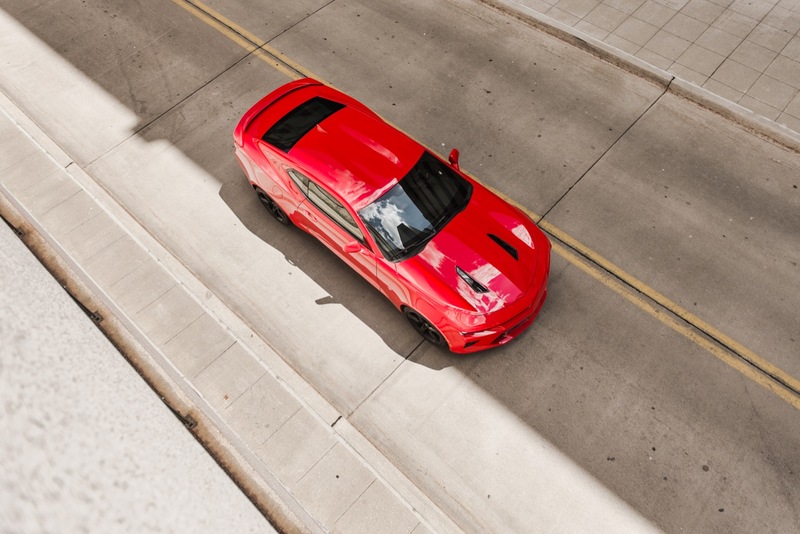 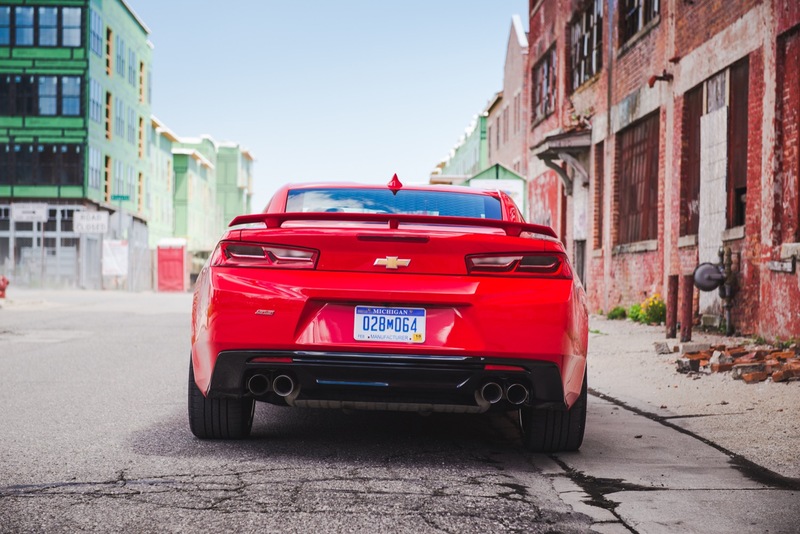 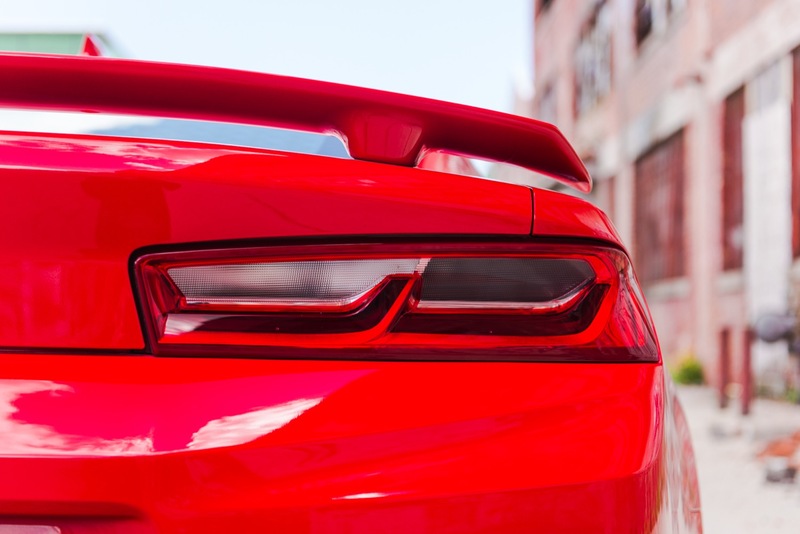 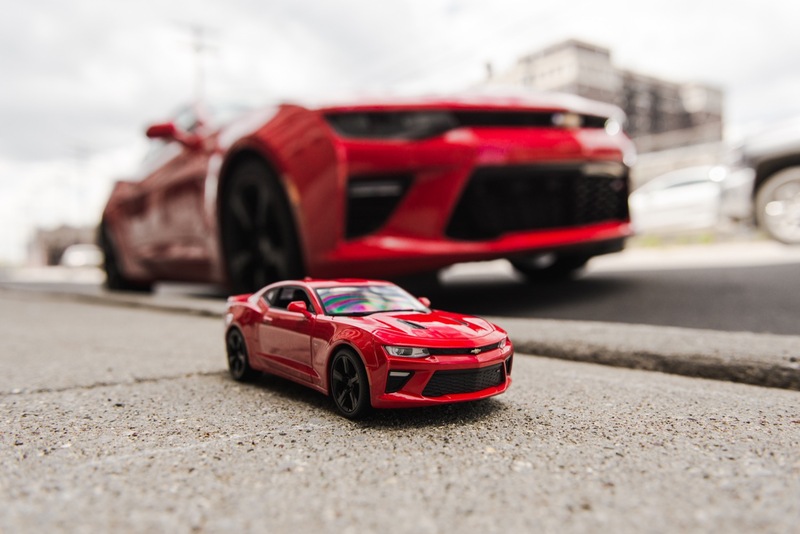 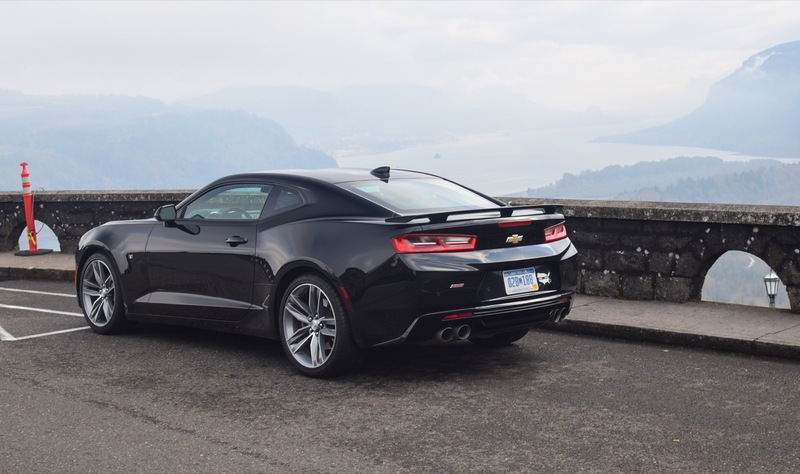 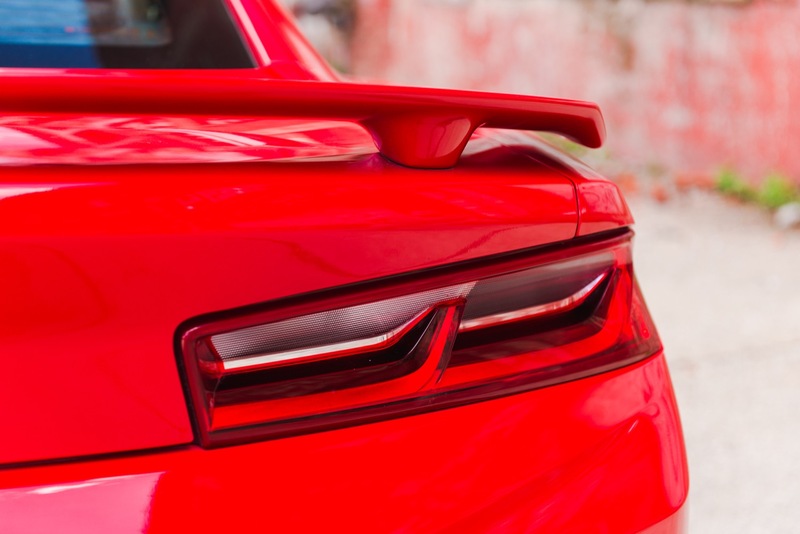 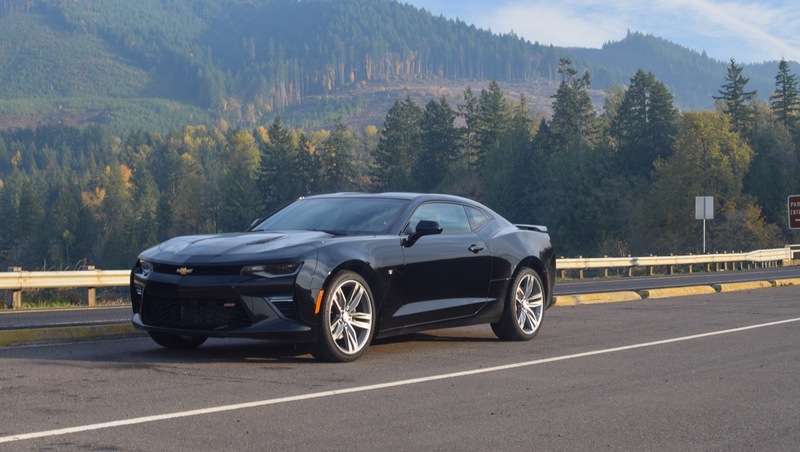 For one, the 2016 Camaro has its own unique length and wheelbase. 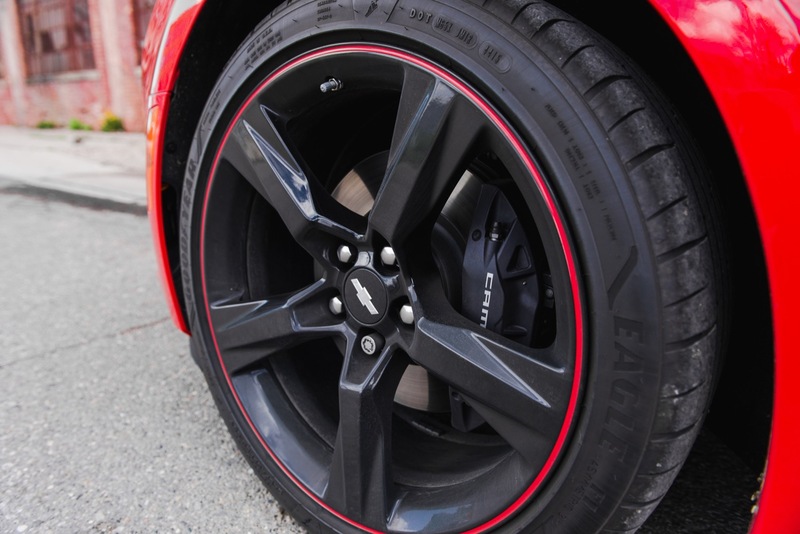 Secondly, the models utilize different tires; the 2016 Camaro with Goodyear Eagle F1 all seasons and the Cadillacs with Bridgestones and Michelins. 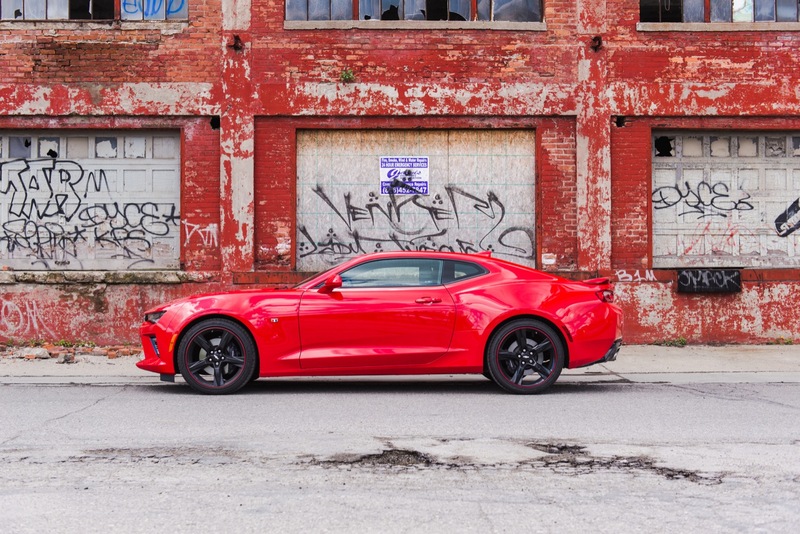 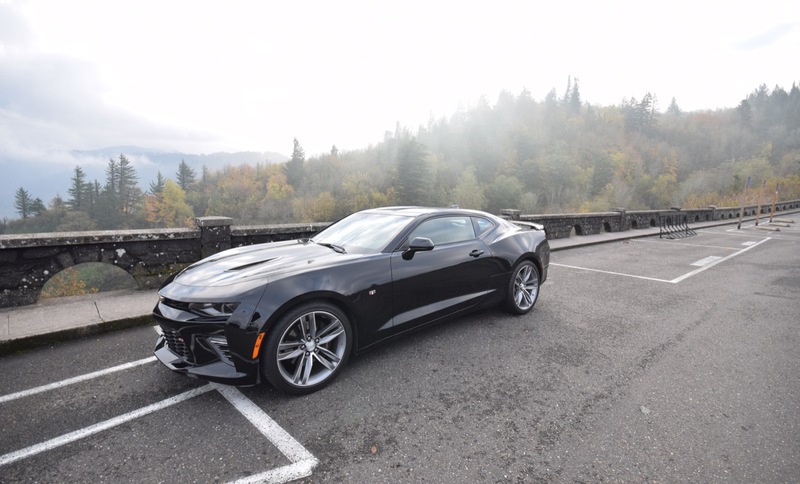 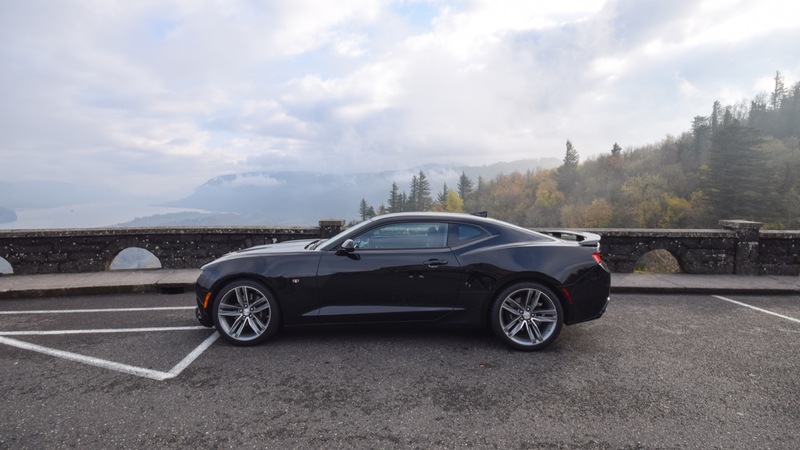 There’s also a difference in weight, and while the 110-inch wheelbase of the 2016 Camaro is closer to that of the current CTS, its suspected weight (still not finalized) aligns itself more with the ATS. 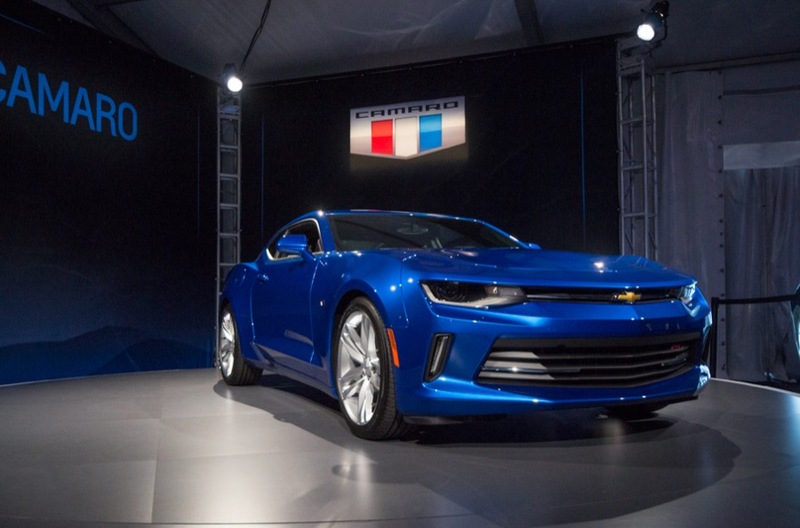 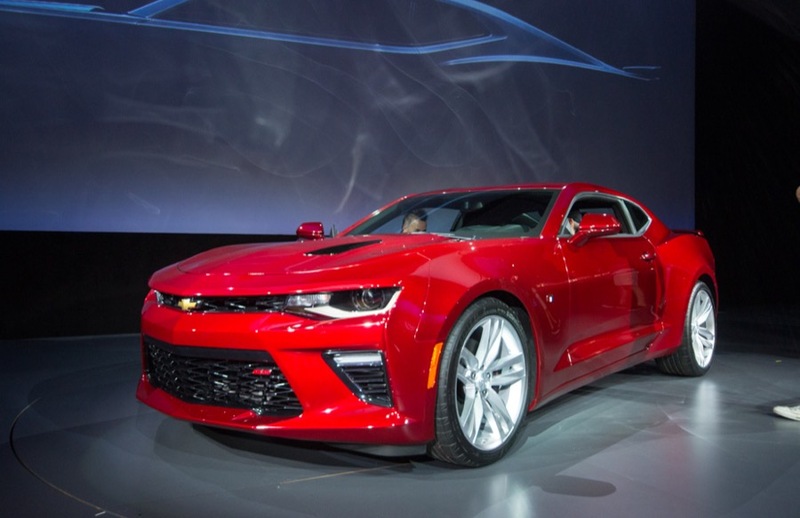 Yet both the Cadillacs offer something in their V6 models that the 2016 Camaro will not when it launches. 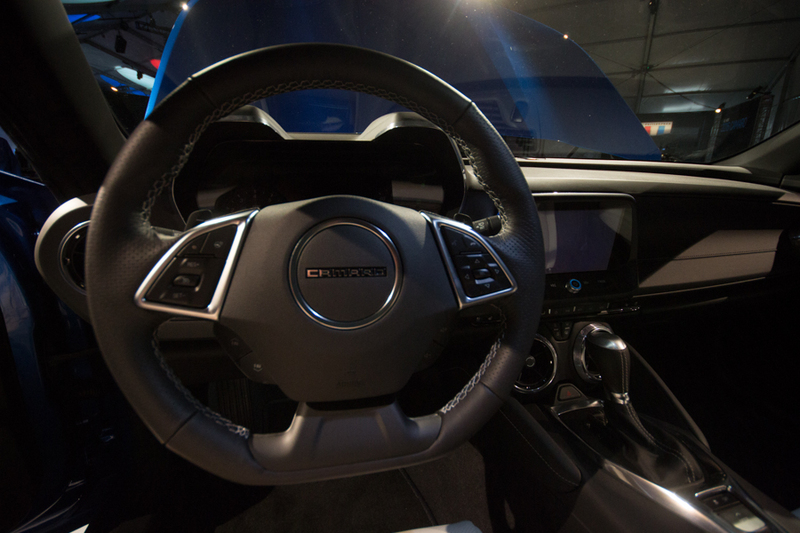 And that is magnetic ride control. 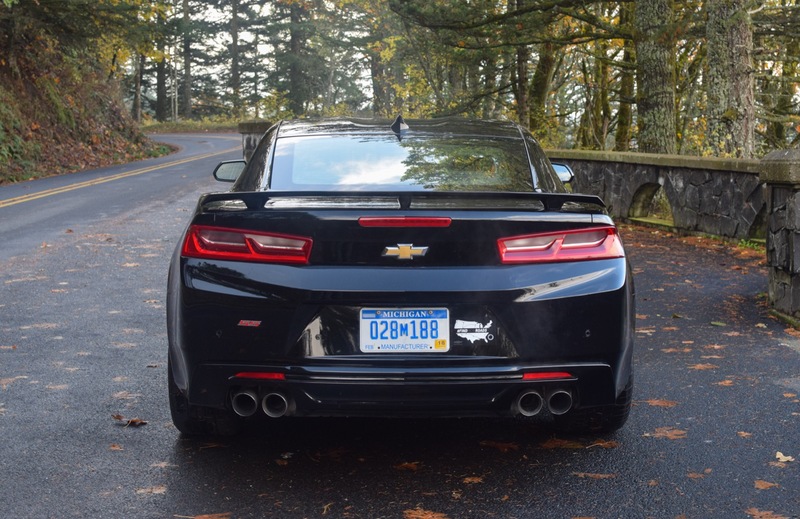 If the 2016 Camaro V6 would feature such a system, it would likely feel even more taught and even more composed than it already comes off as being. 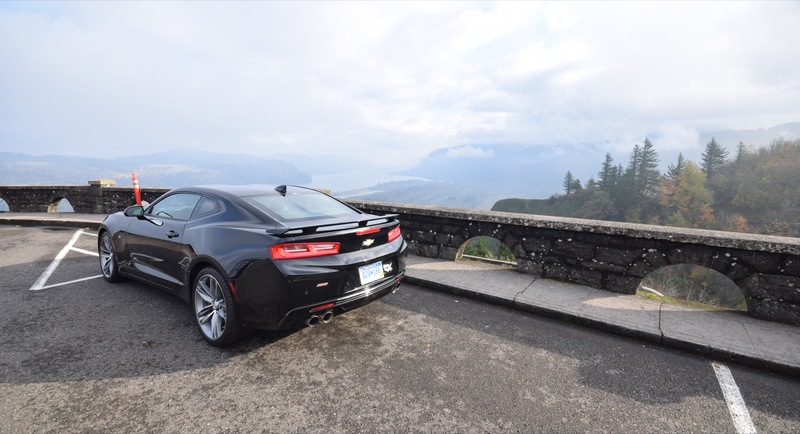 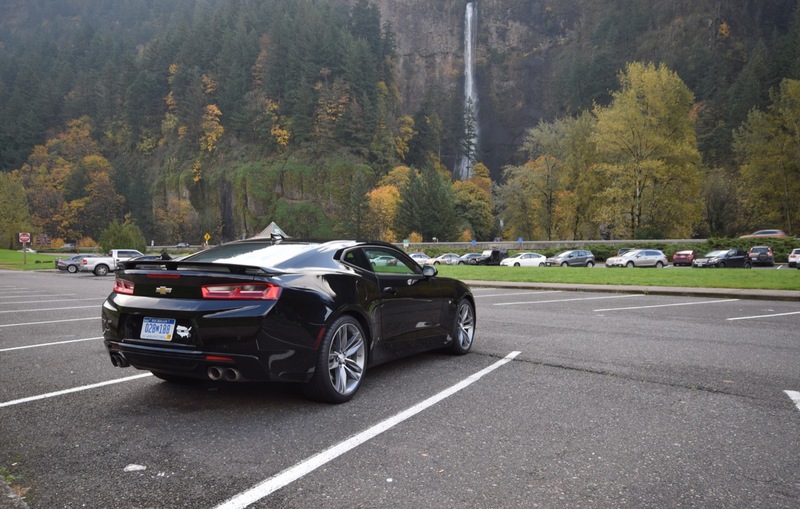 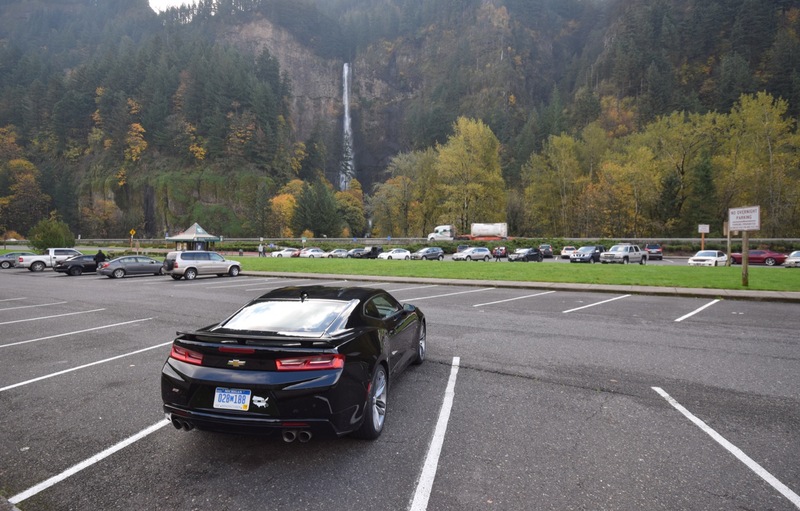 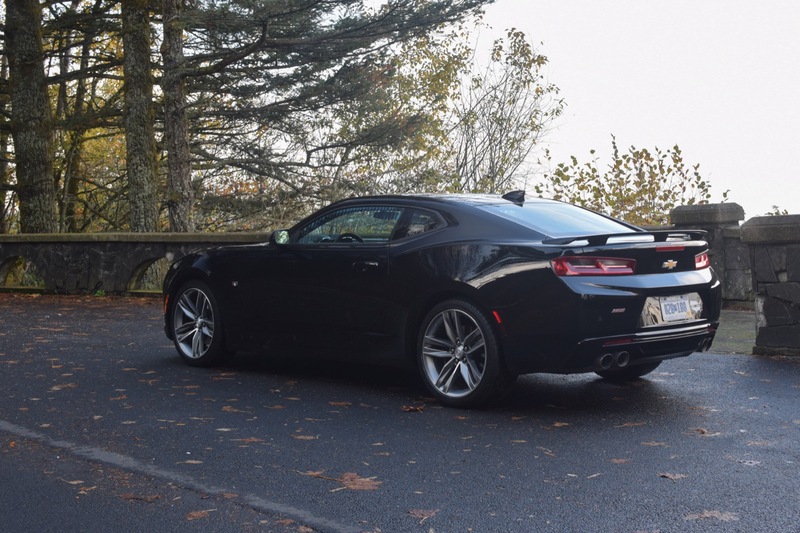 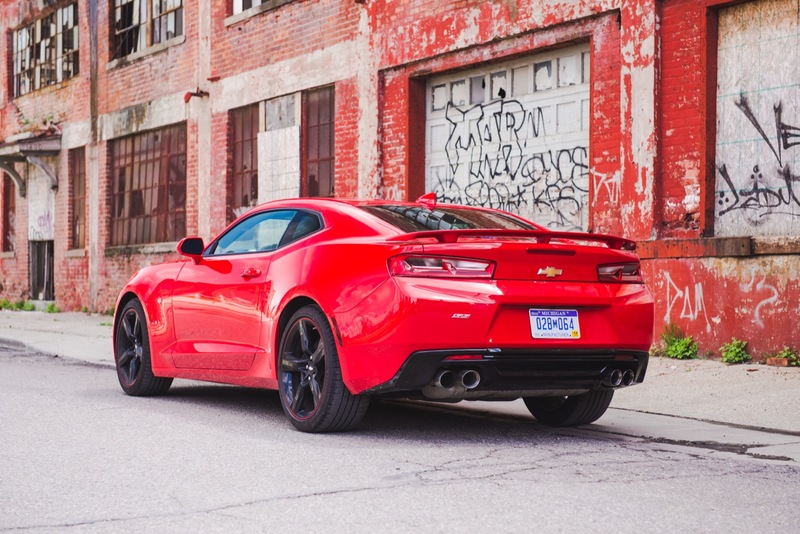 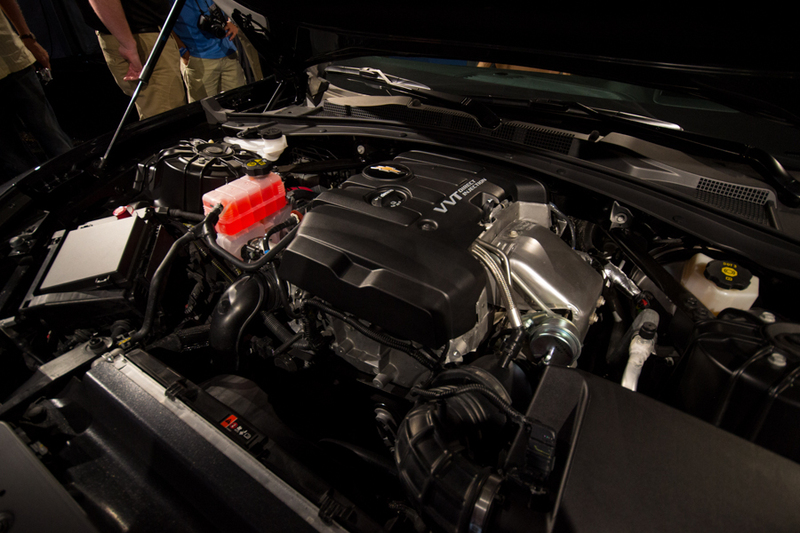 Look for standard MRC on the 2016 Camaro SS with its 455 hp LT1 V8, however. 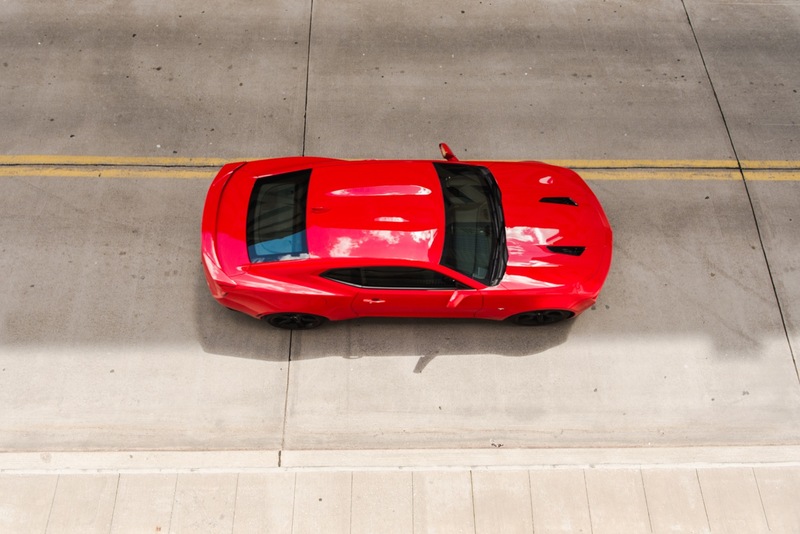 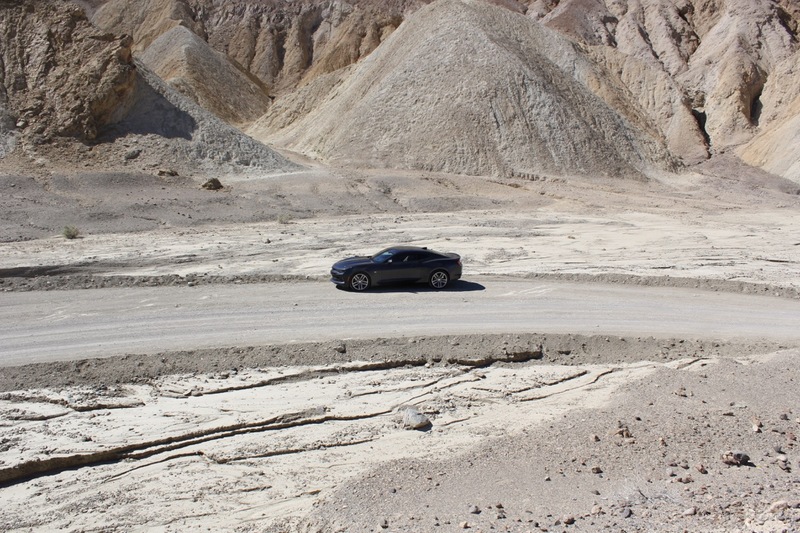 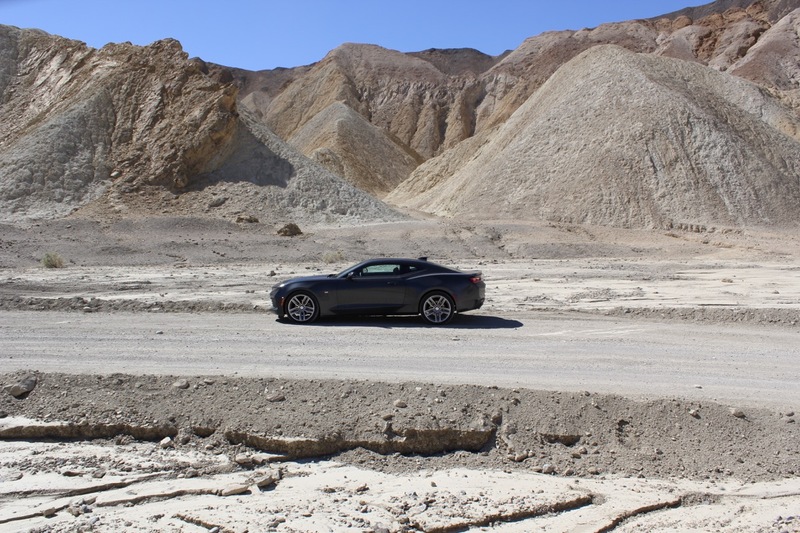 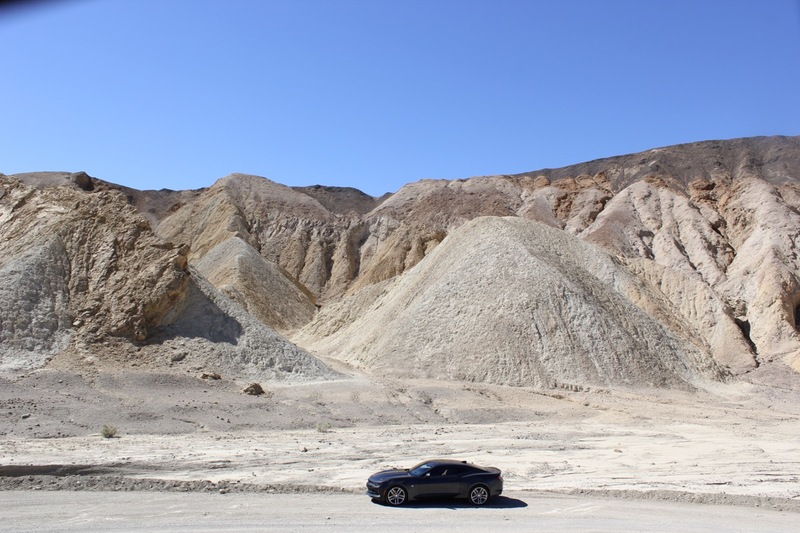 It’s not to say that the 2015 Ford Mustang is bad. 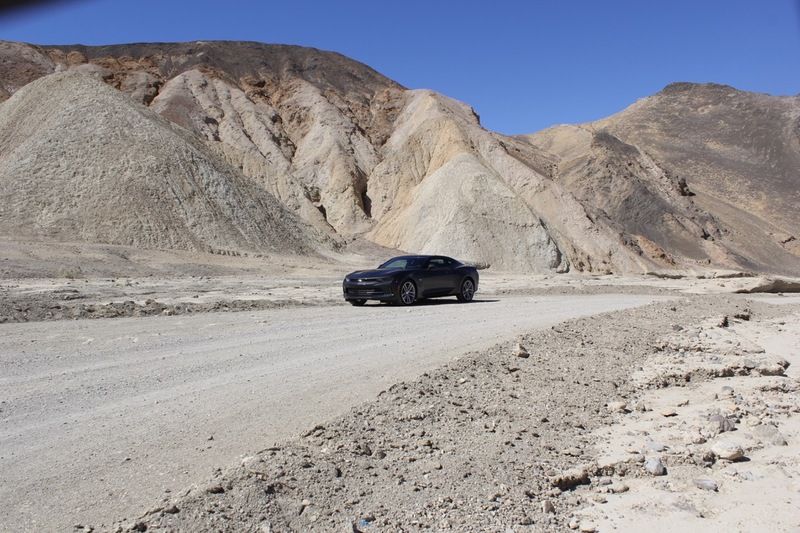 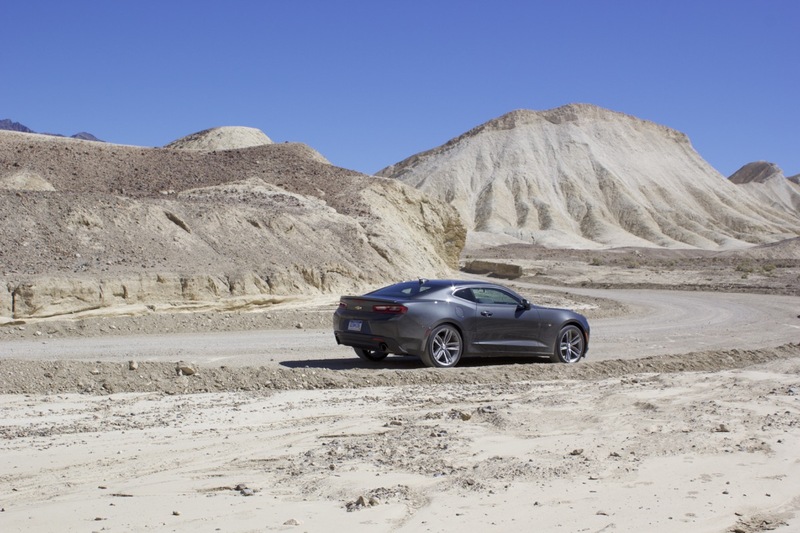 Having driven a Mustang EcoBoost, V6 and GT, we can say it’s quite good, actually. 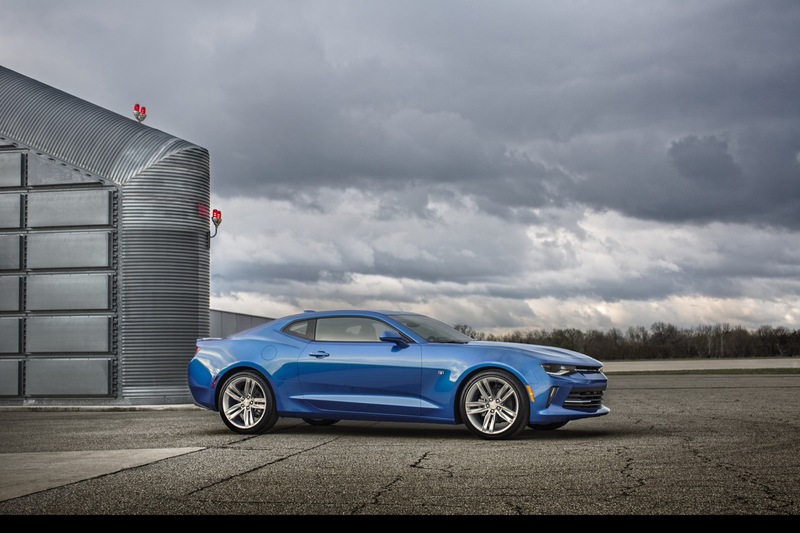 But once again, the weight savings on the 2016 Camaro seems to shine here in virtually every dimension. 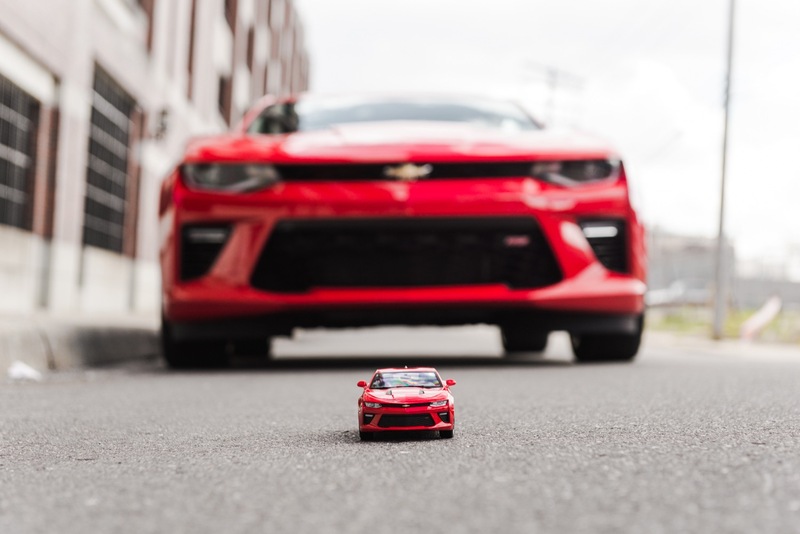 Next year is sure to be a spectacle for pony-car lovers, as there will be no shortage of comparison tests between these two storied rivals, who have been at each other for nearly 50 years. 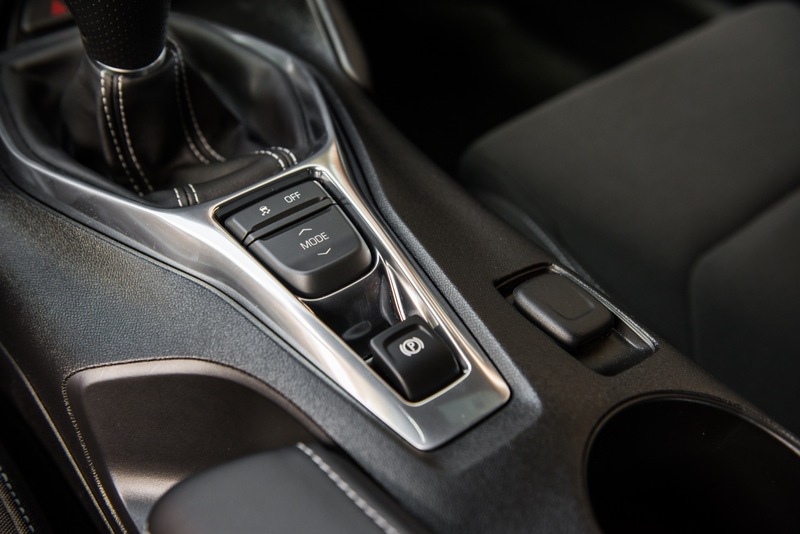 Normally, multiple driving modes are a benefit reserved for cars with magnetic dampers. 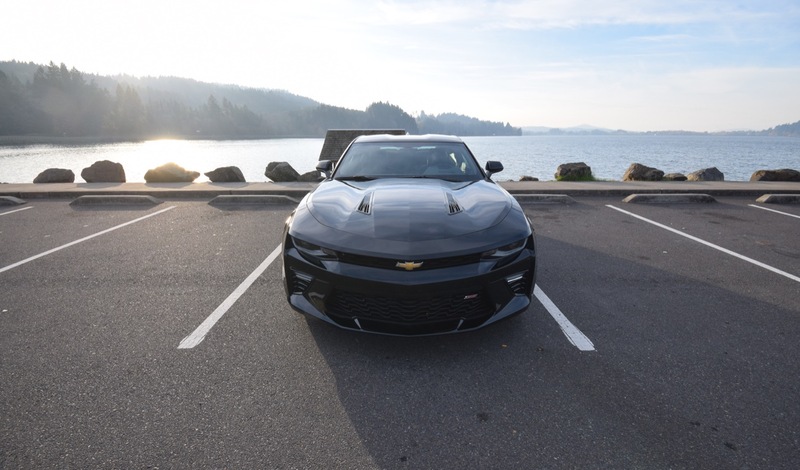 Not so with the 2016 Camaro V6. 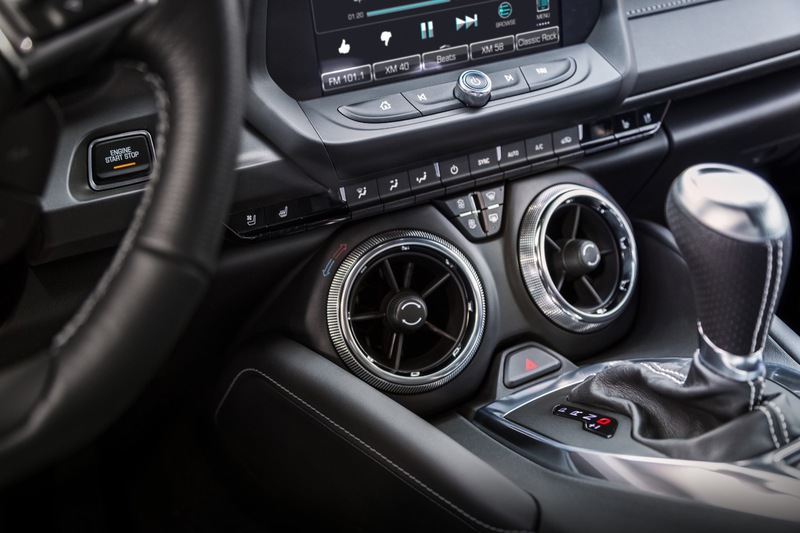 Despite not having MRC, drivers can still toggle between Sport, Tour and Snow/Ice modes via a button near the shifter and read them through an information display in the gauge cluster. 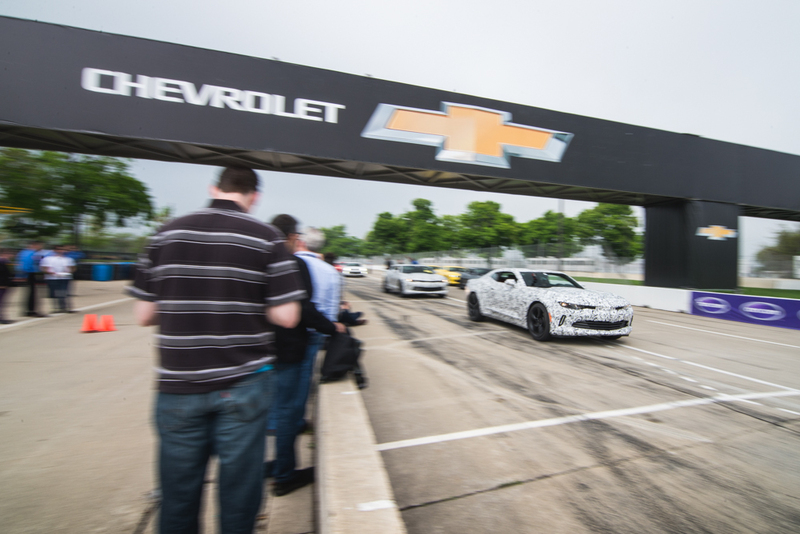 As we only drove the 2016 Camaro around the Belle Isle track, we kept it in Sport Mode. 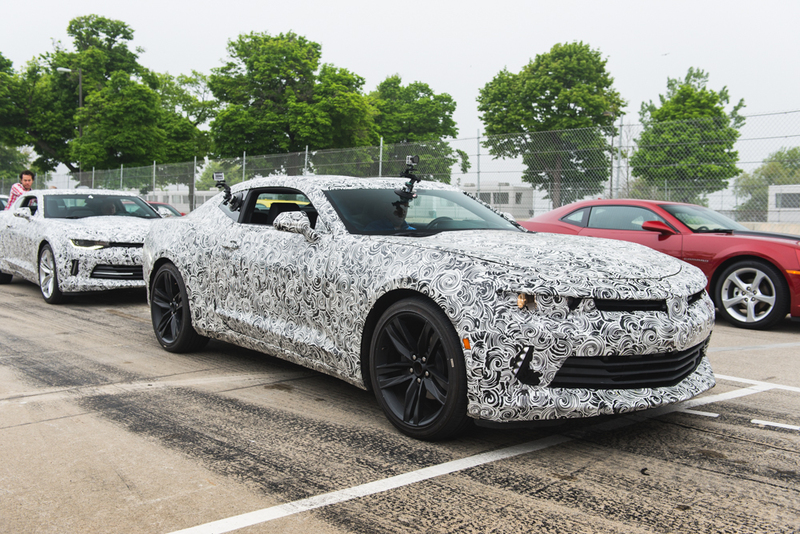 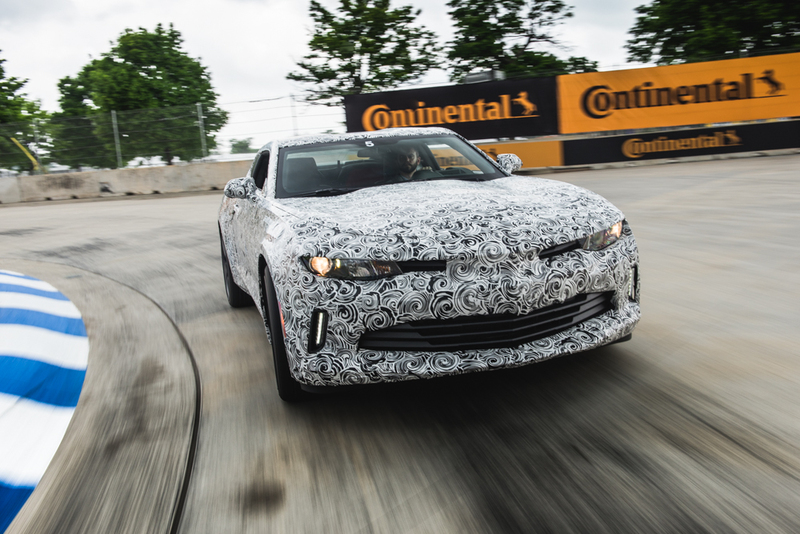 Every single Camaro variant at launch will either offer an eight-speed automatic transmission, or a six-speed manual transmission. 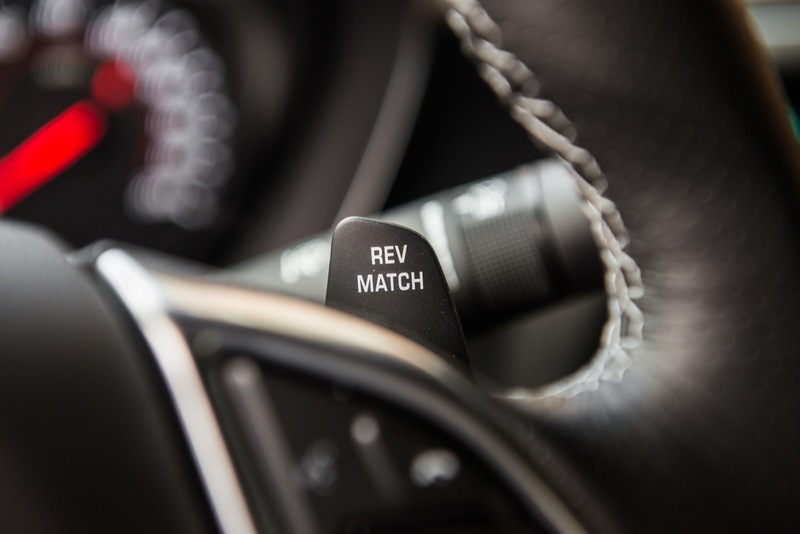 And in a world where the clutch pedal is an endangered species, that’s wonderful news. 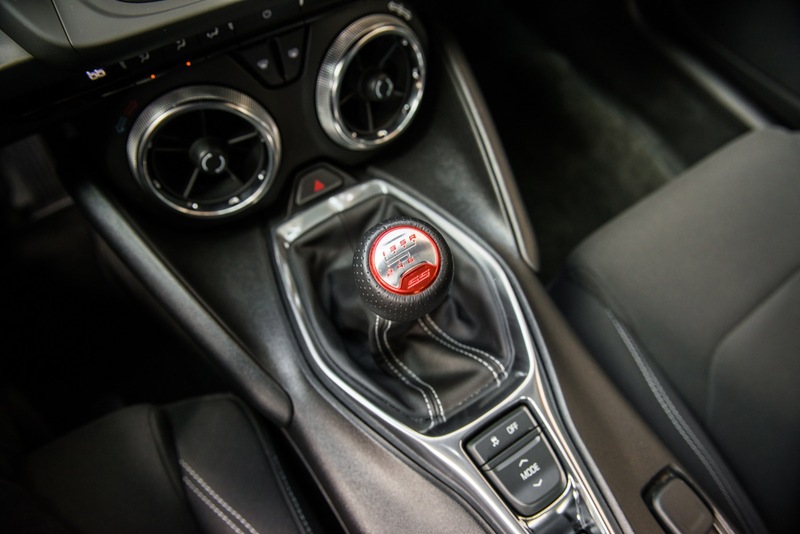 And in a fitting nature to the car, the manual transmission delivered more smiles per miles than the auto. 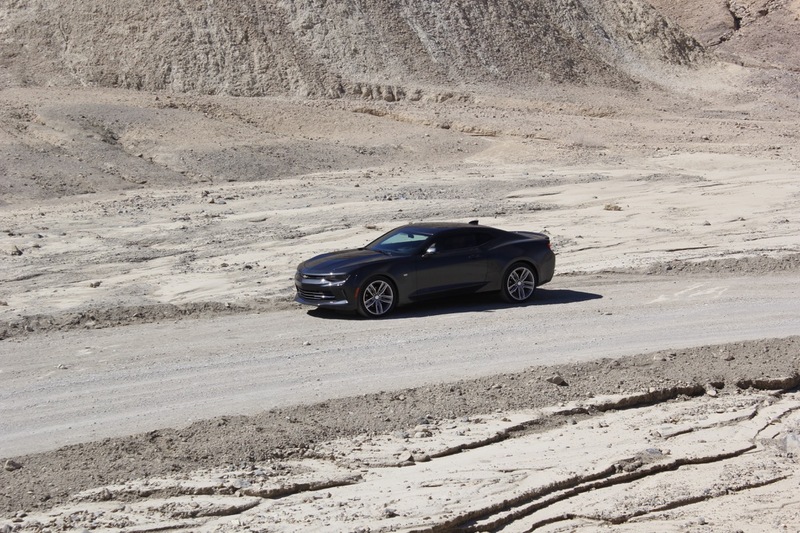 Not to downplay the 8-speeds, as the unit we experienced was both smart and snappy. 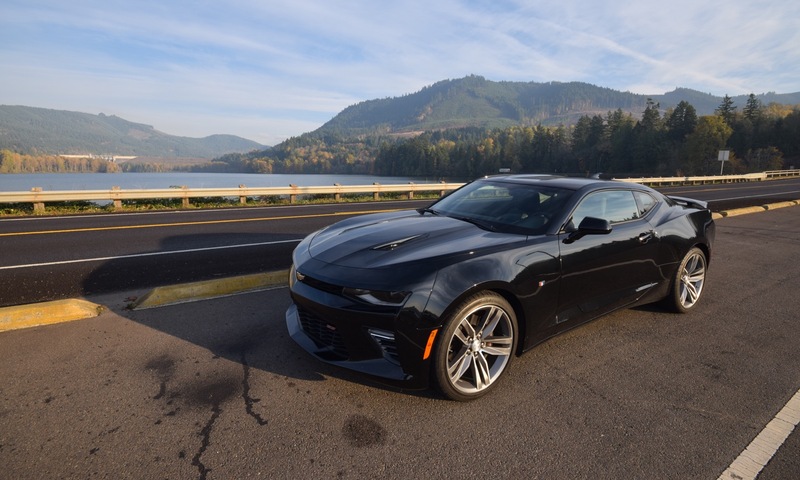 But there’s nothing like giving an automobile like the 2016 Camaro a good handshake. 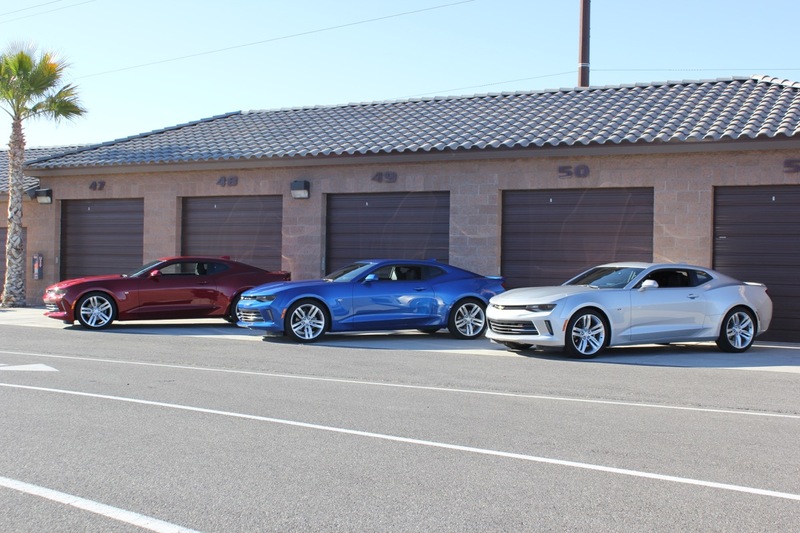 Being as these were prototypes, though, we did occasionally have trouble getting the 2016 Camaro into third gear for some reason. 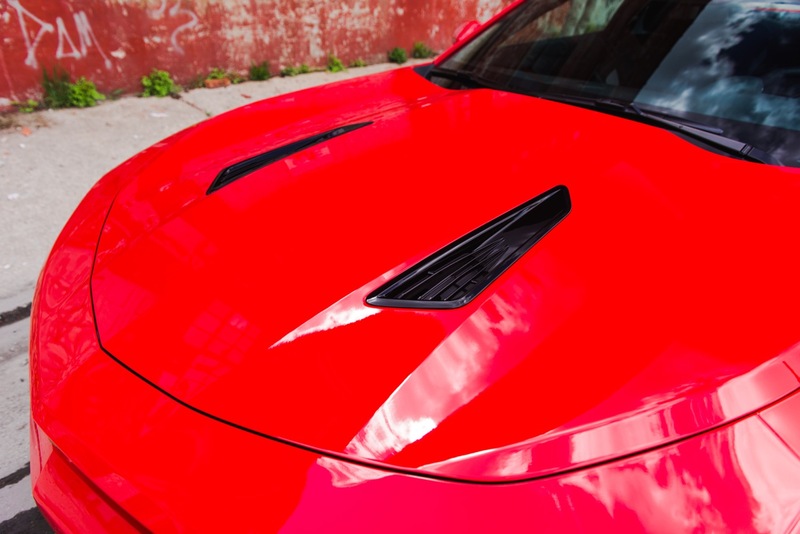 We’re sure the finished product will feel much more calibrated. 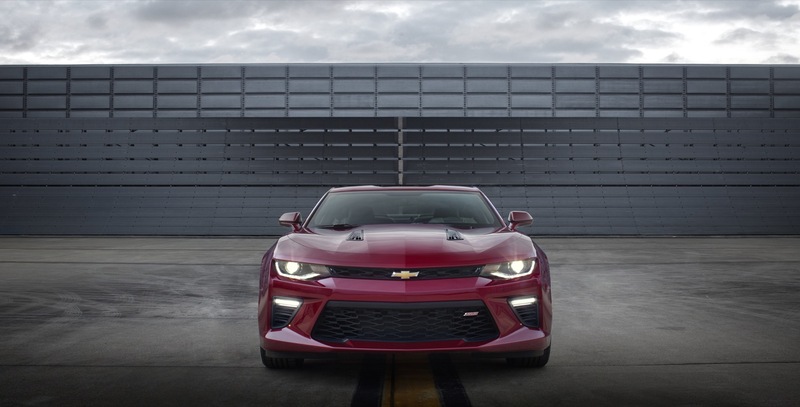 Take note, however, that the active rev matching algorithm (ARM) is reserved for the Camaro SS at launch. 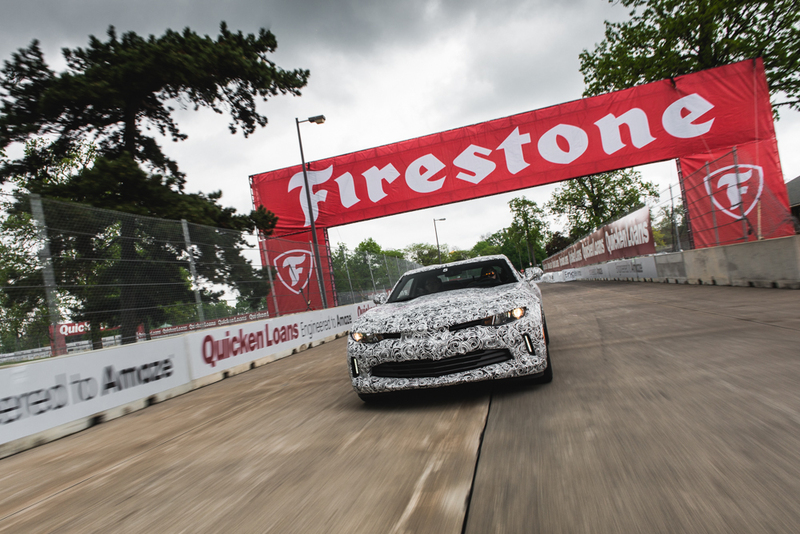 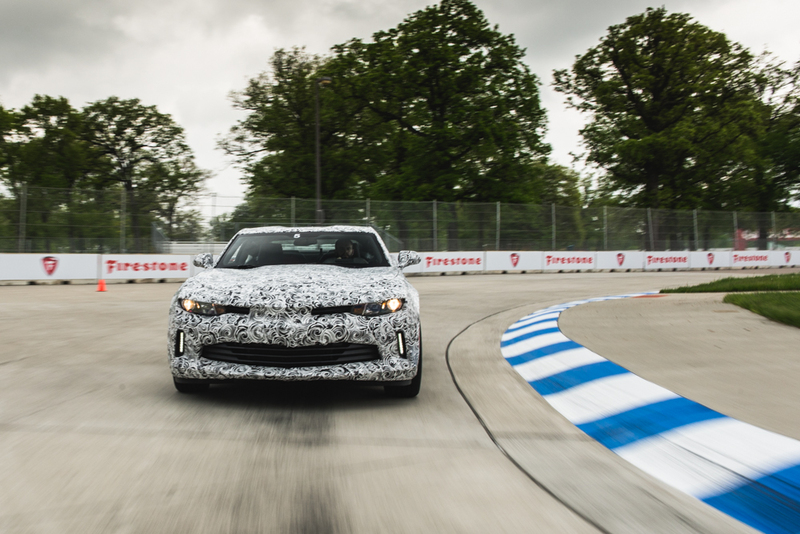 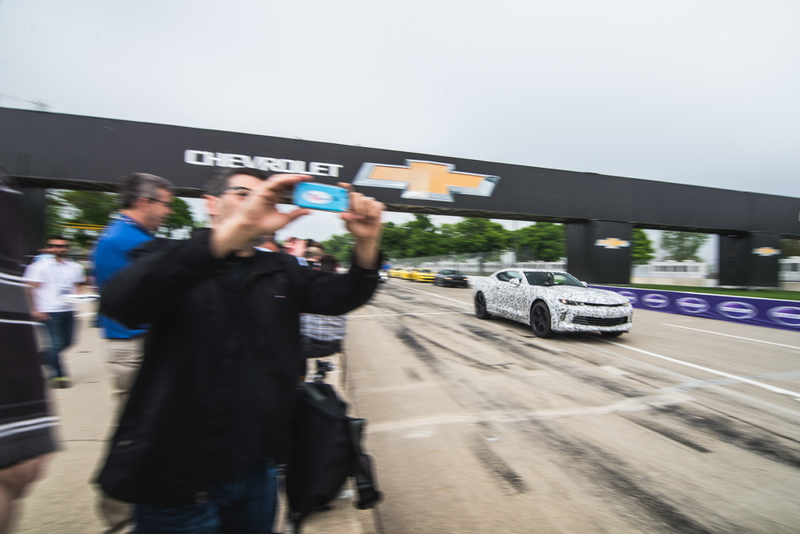 At the end of it all, driving a prototype 2016 Chevrolet Camaro V6 for just four laps around the Belle Isle Grand Prix track is just a big damned tease. 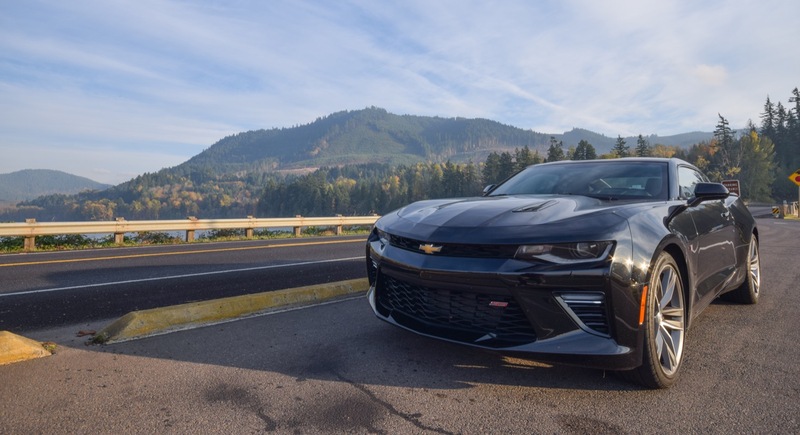 There’s arguably more curiosity surrounding the turbocharged four-cylinder base model, and a firm lust to get inside a 2016 Camaro SS with its 455 horsepower LT1 V8 — the most powerful Camaro SS ever. 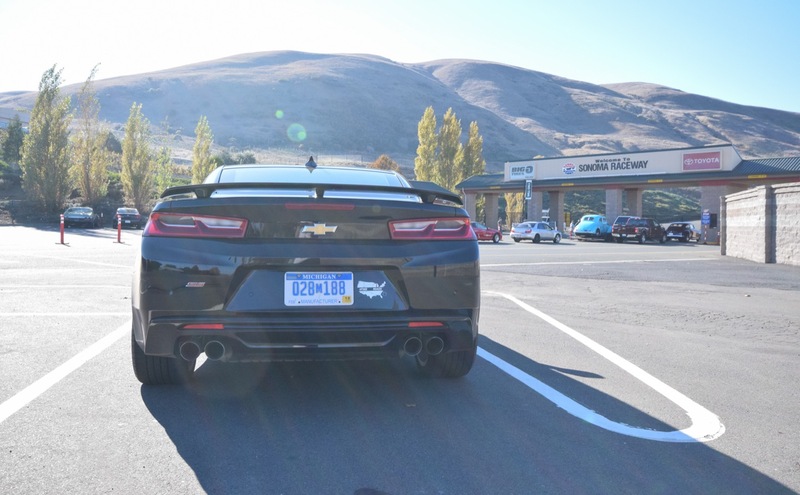 After this experience, all we can do is wait impatiently for our next opportunity to hold the keys to a 2016 Camaro once again. 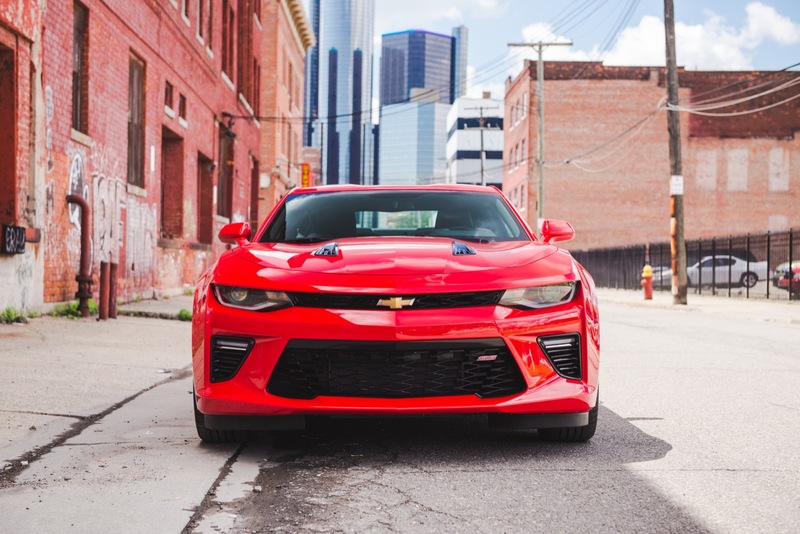 For the love of all that is good for your readers, would you please get rid of these horrible and demonic auto-playing ads that permeate your articles. 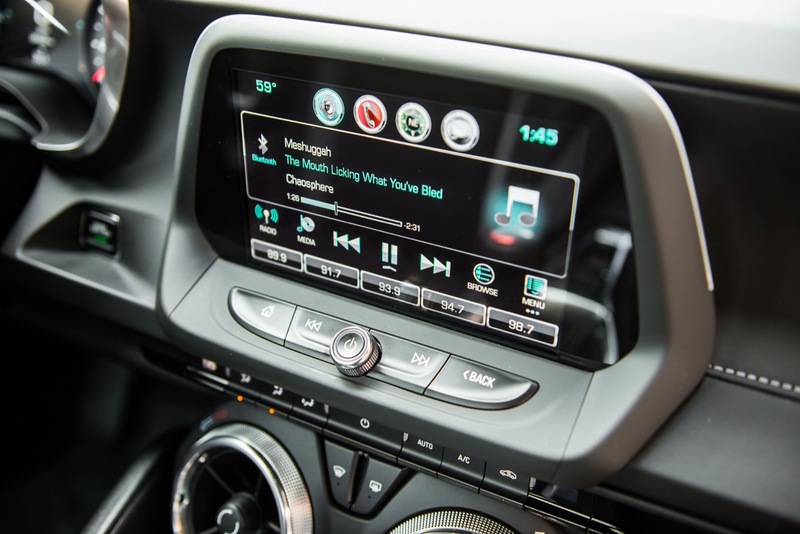 It is so distracting and irrelevant to what your product is. 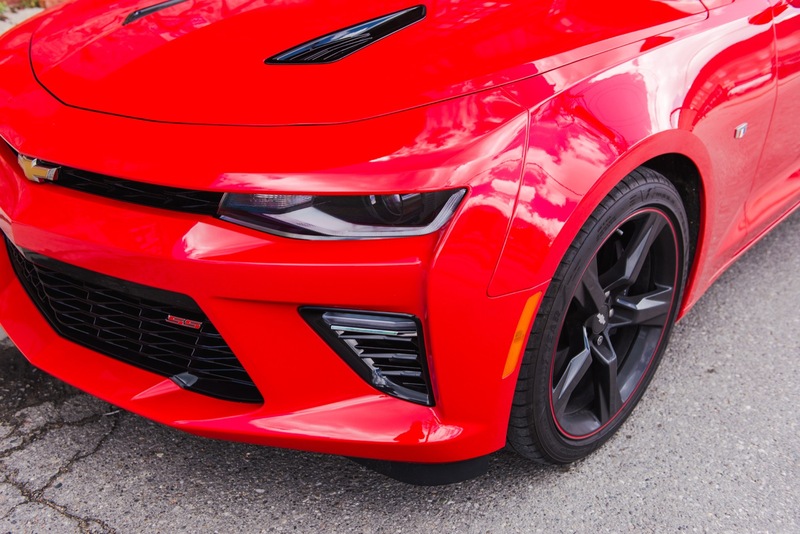 This otherwise good and informative article was broken up and ruined by these ridiculous abominations I was unable to stop. 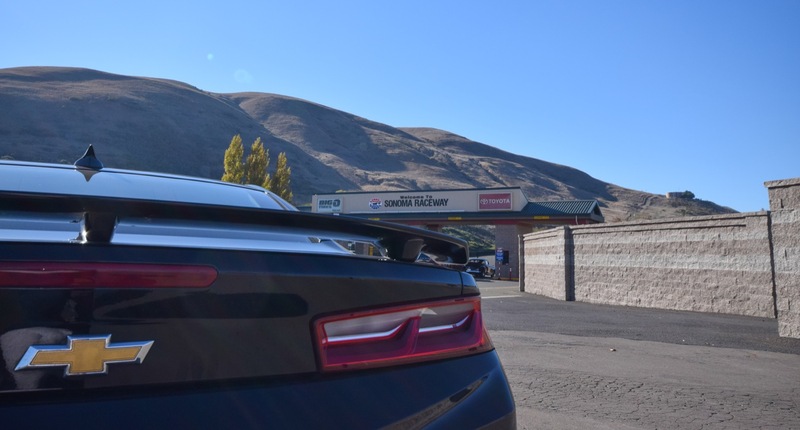 There has to be a better way for you to promote the advertisers. 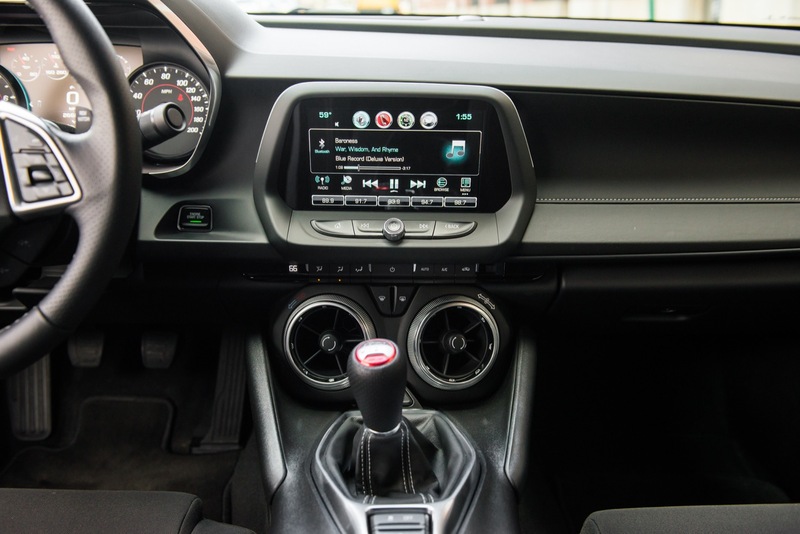 All these make me want to do is throw my computer out the window and not come to your site. 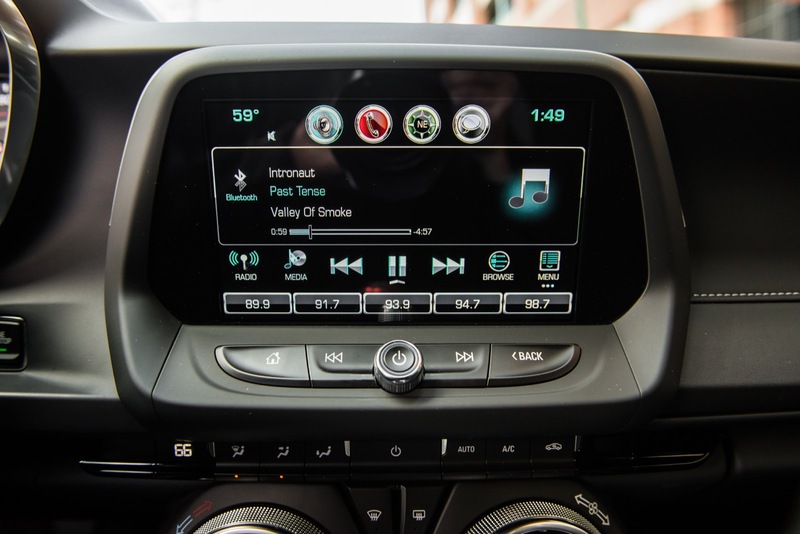 Despite my hatred for these stupid bandwidth killers, good info from this article and Chevrolet did a fantastic job on the Gen6 in and out.